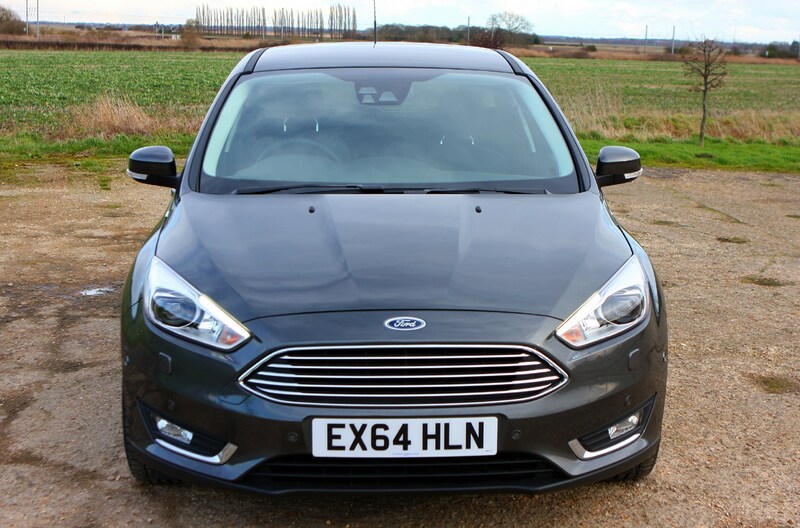 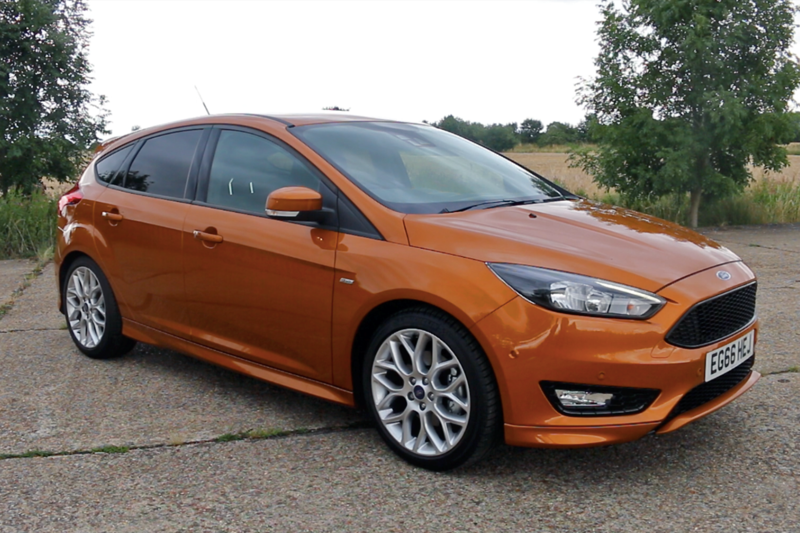 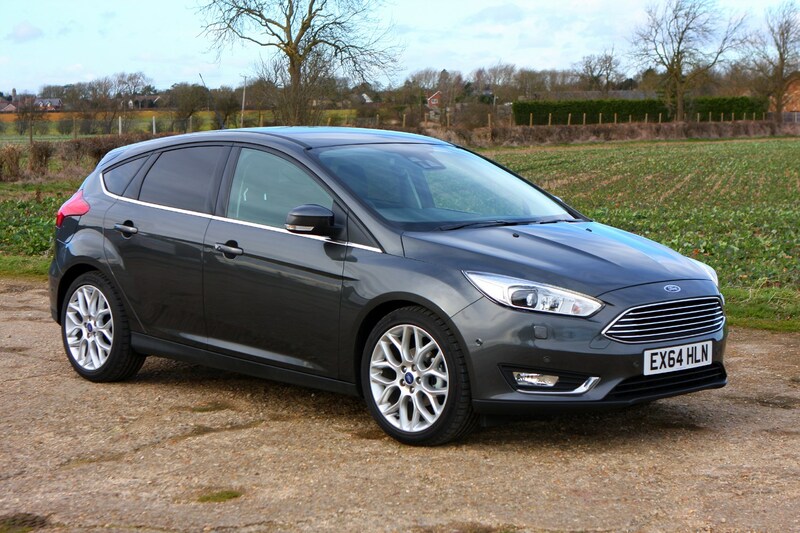 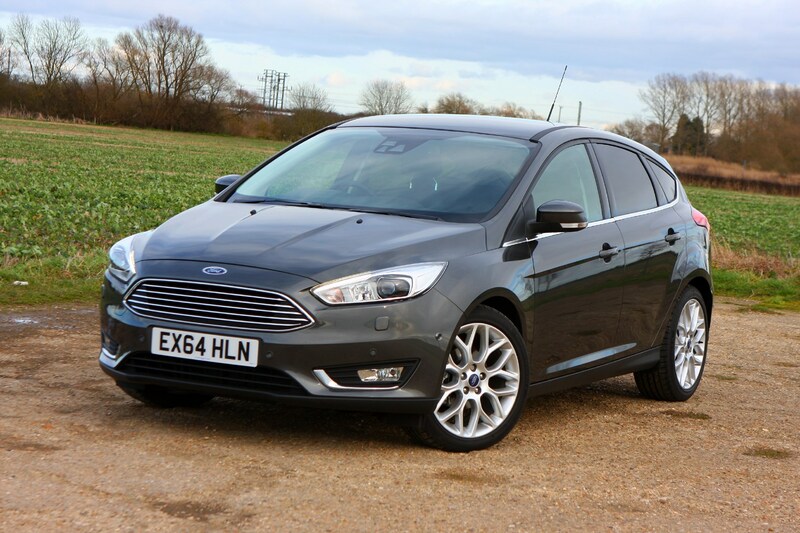 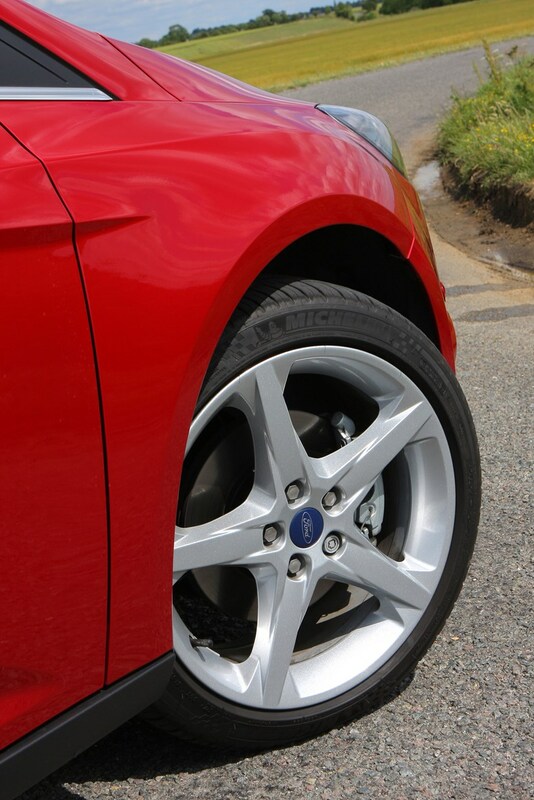 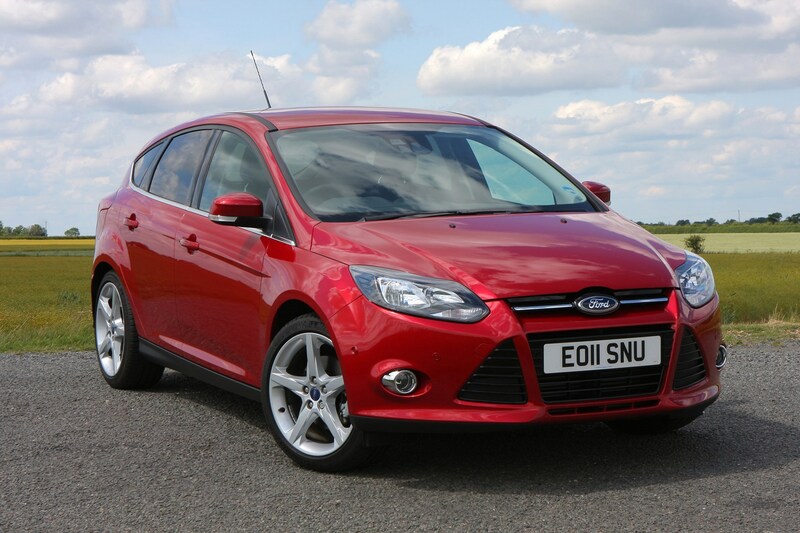 This car has been superseded by a newer model, click here to go to the latest Ford Focus Hatchback review. 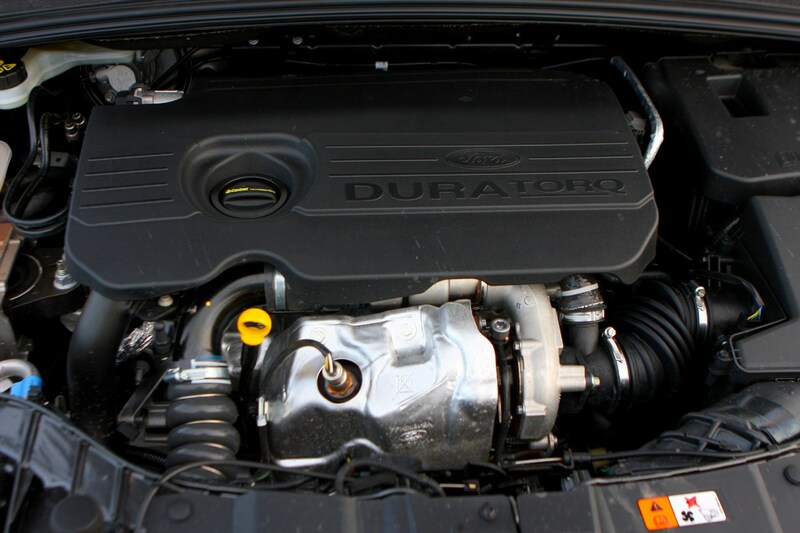 Insurance group: 6 - 43 How much is it to insure? 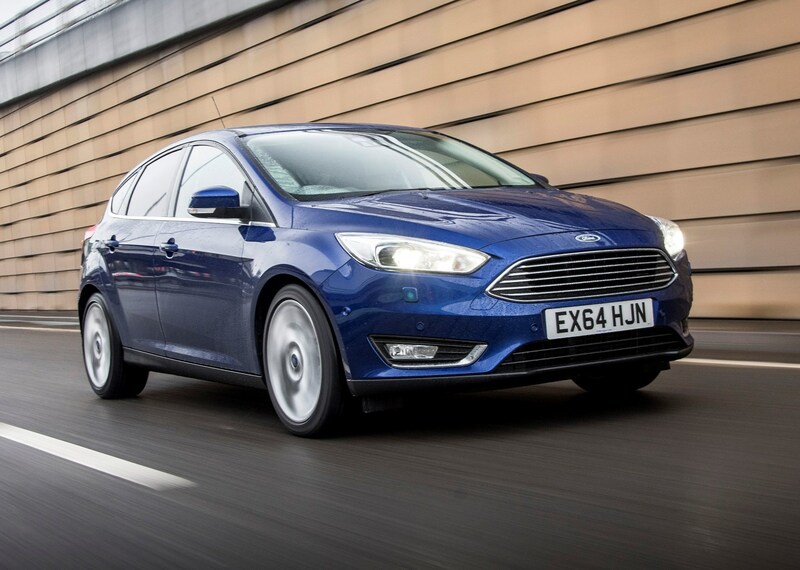 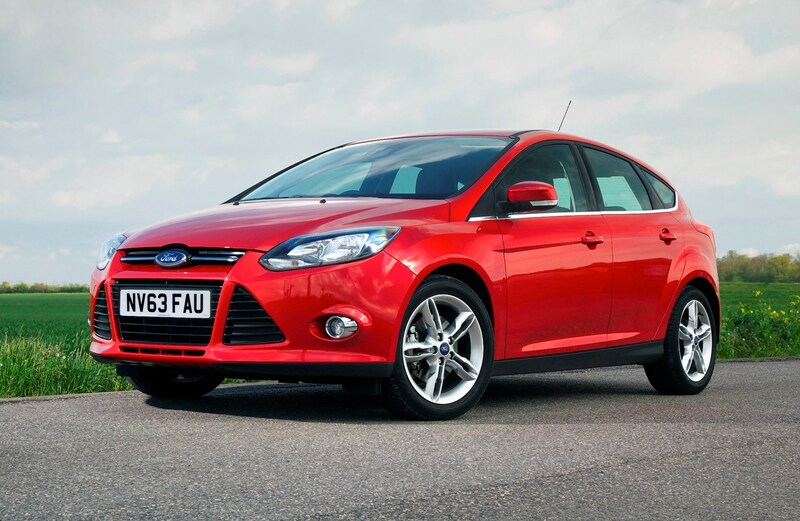 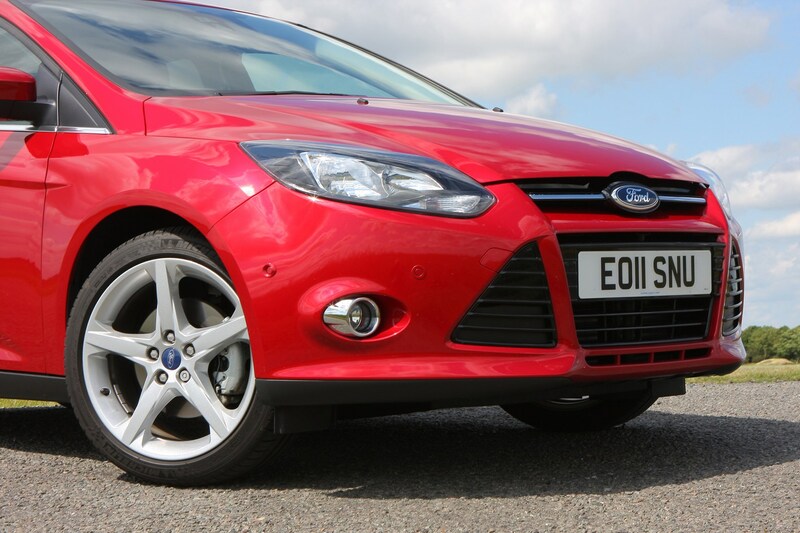 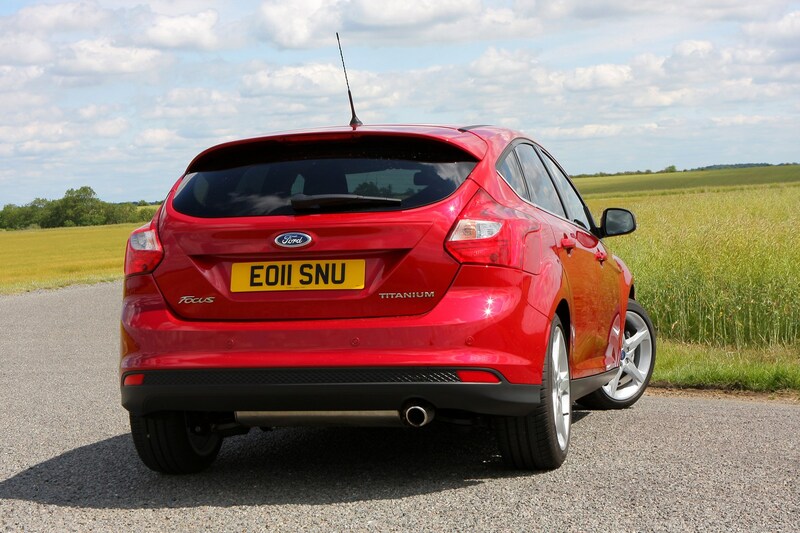 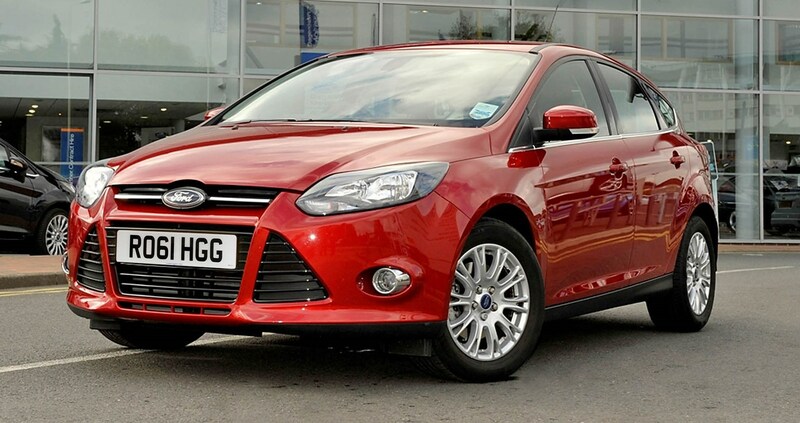 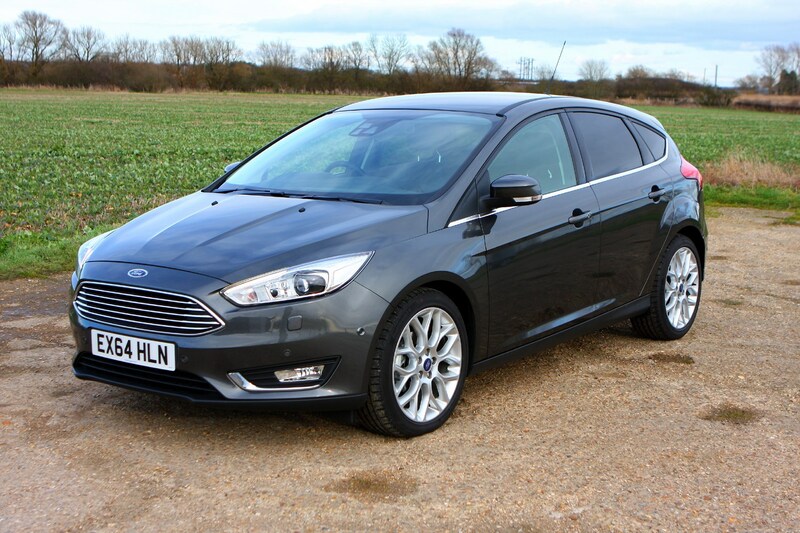 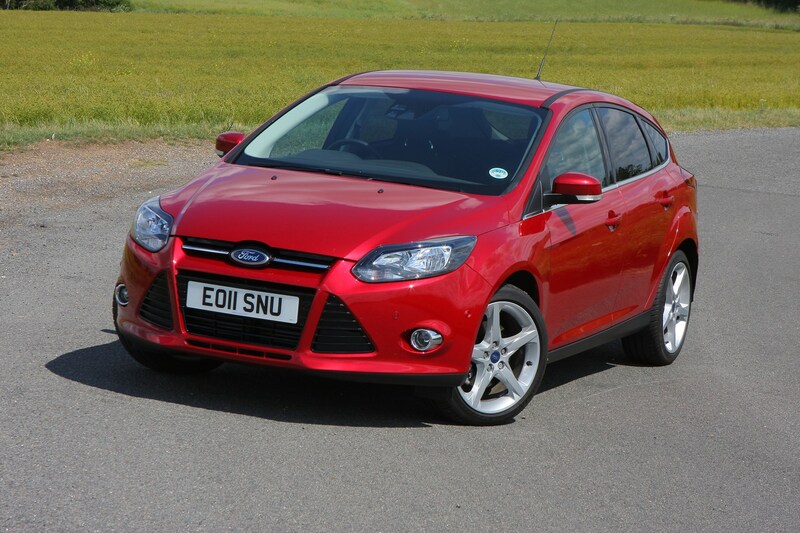 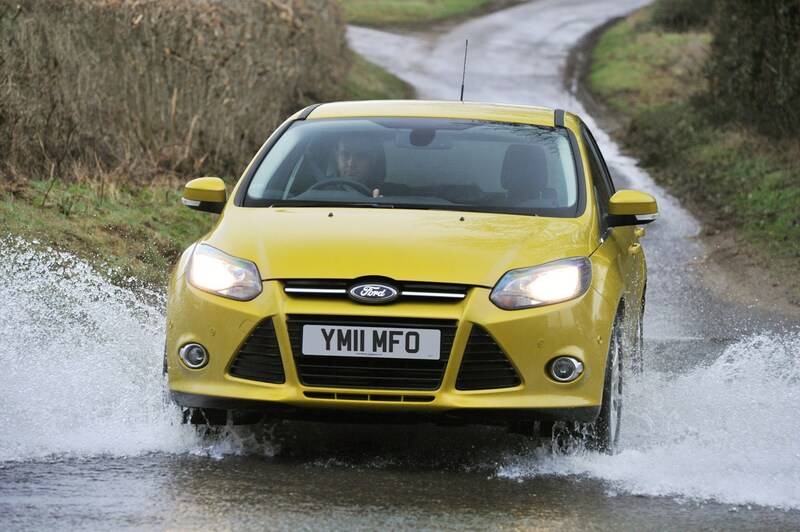 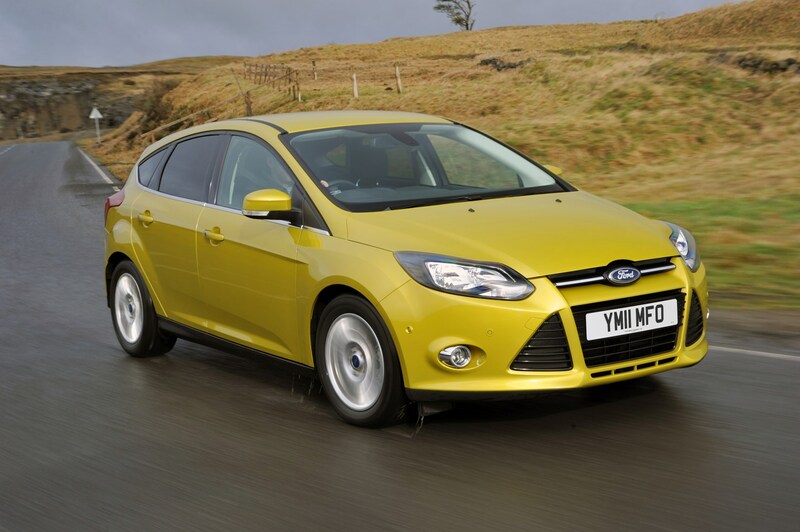 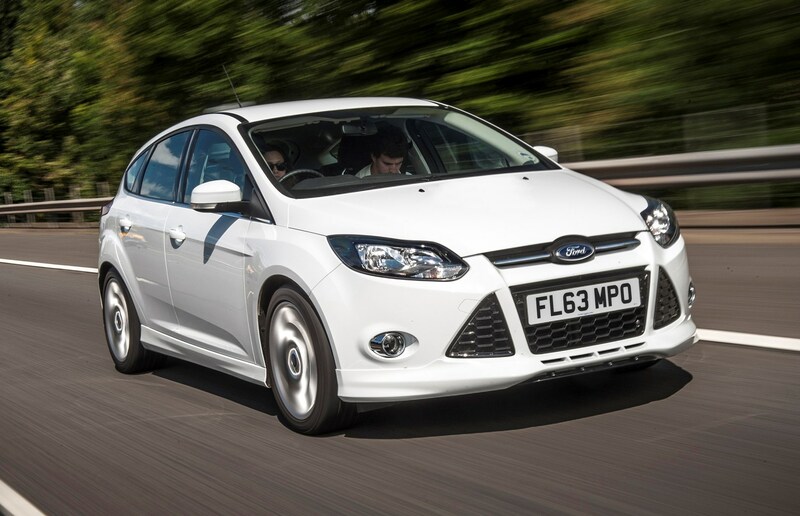 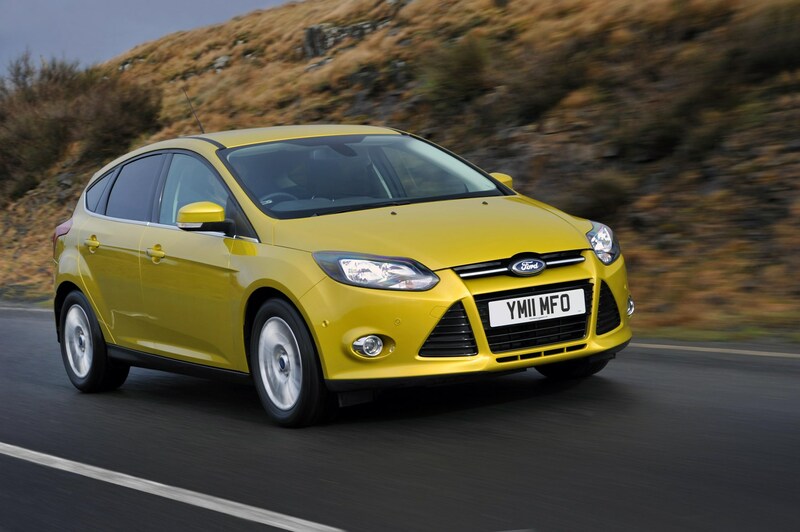 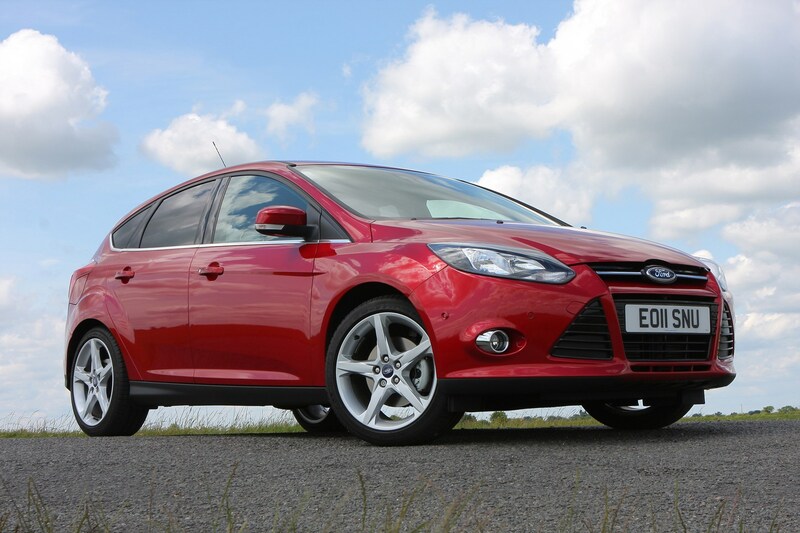 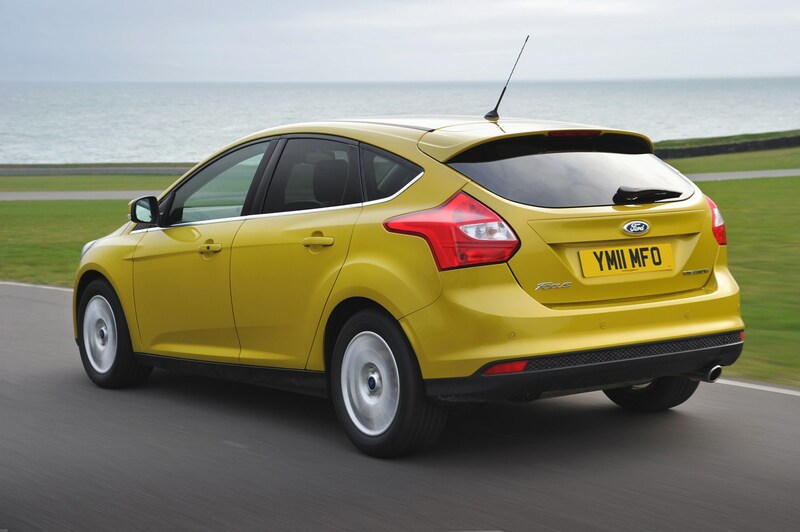 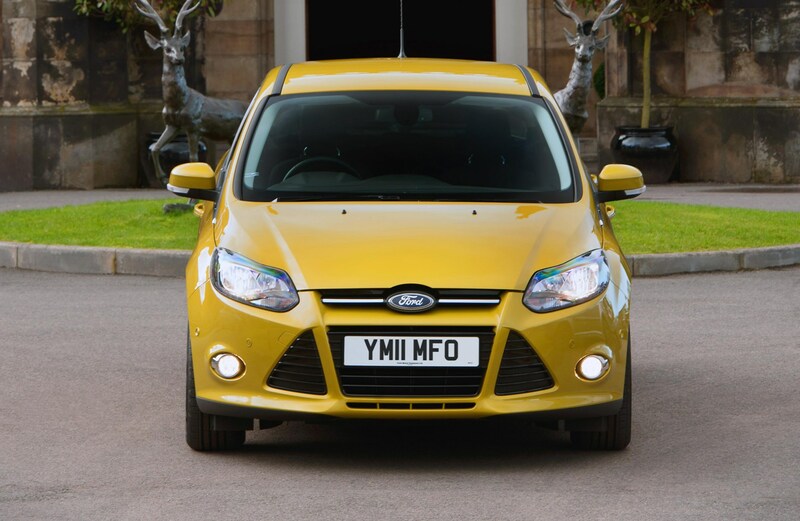 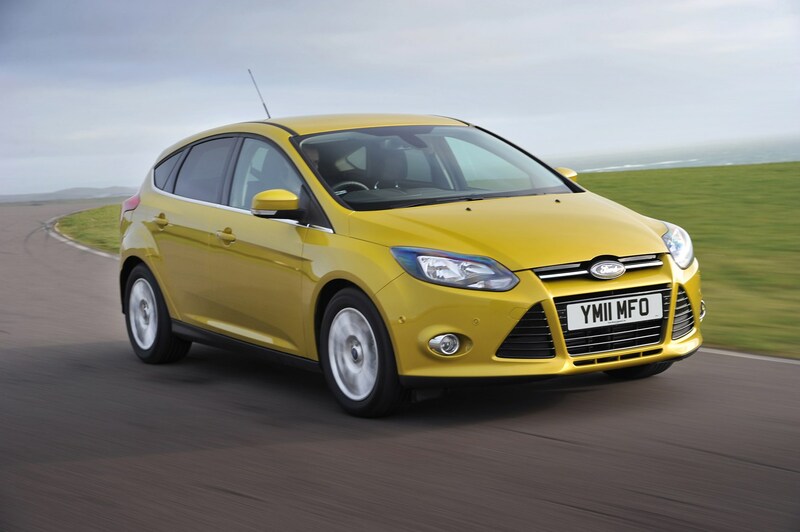 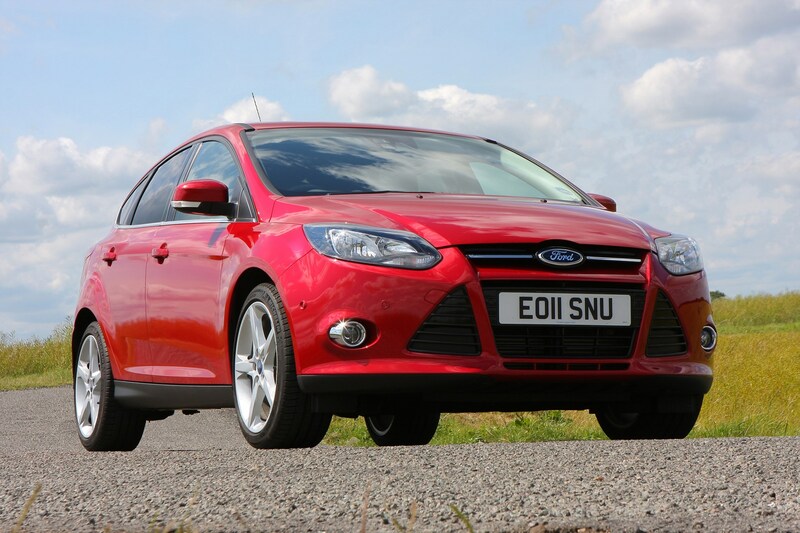 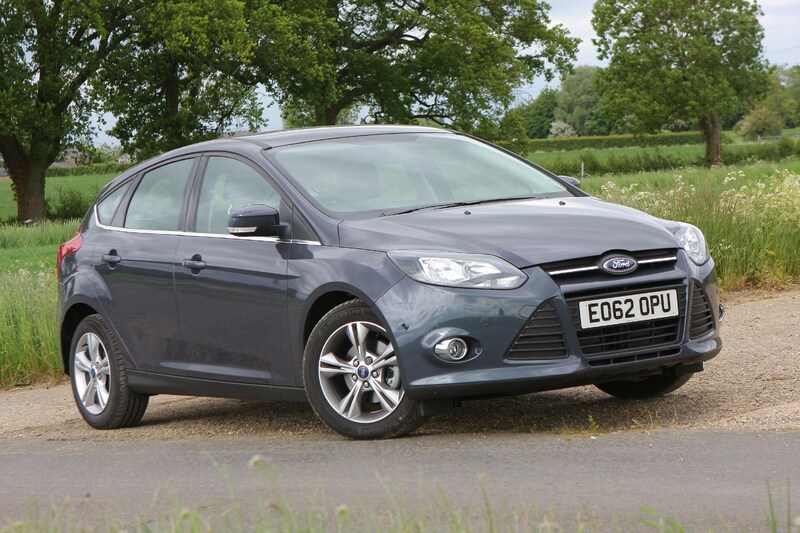 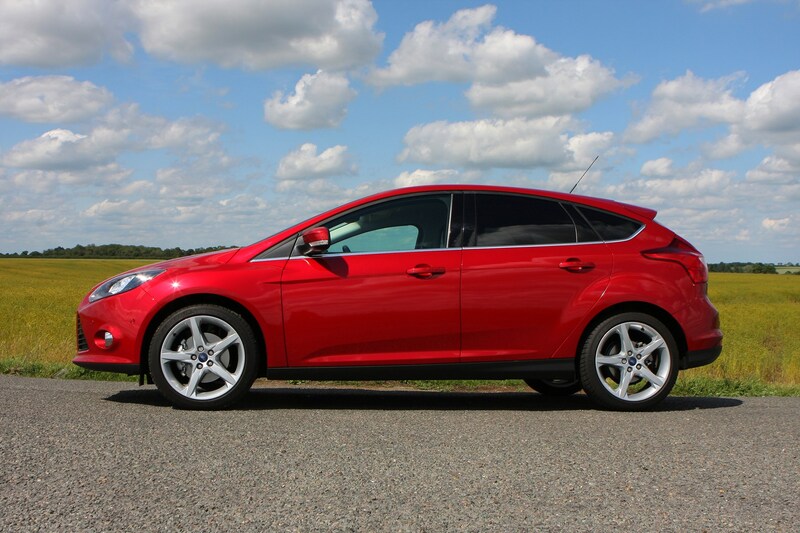 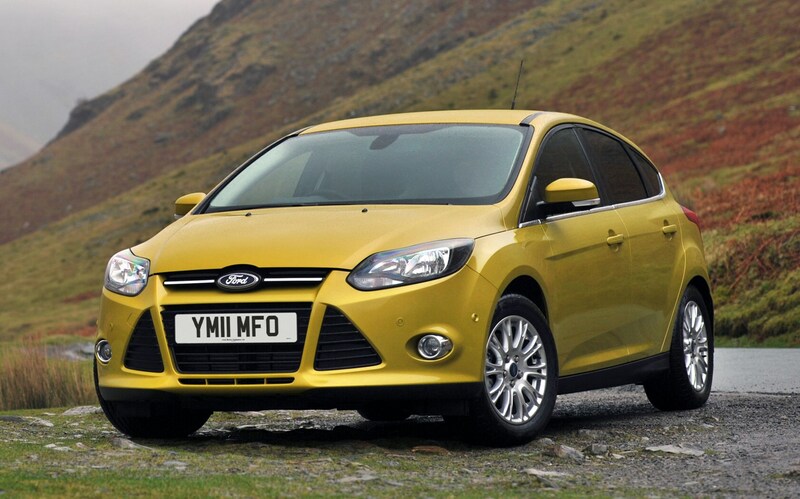 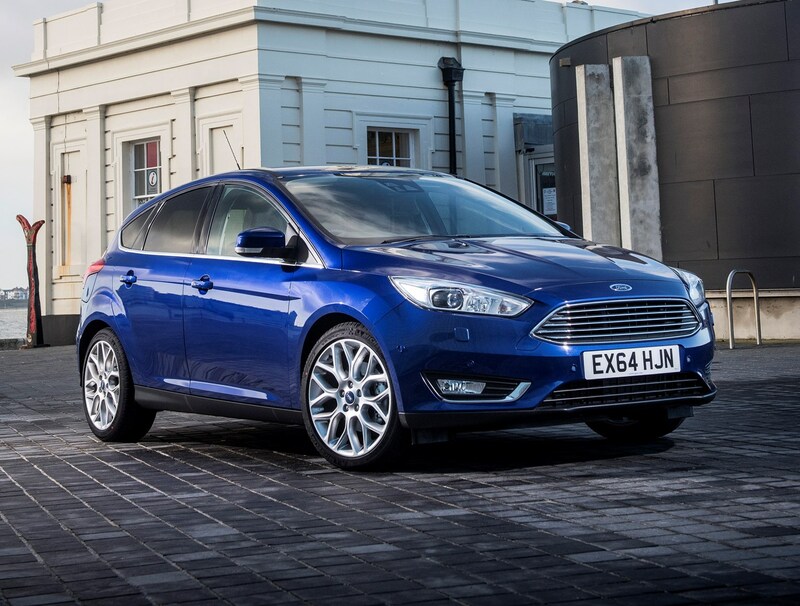 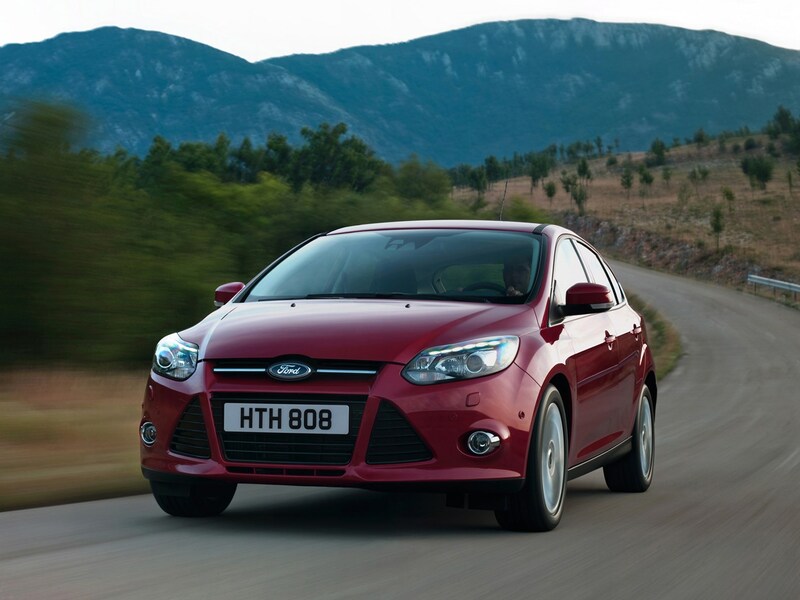 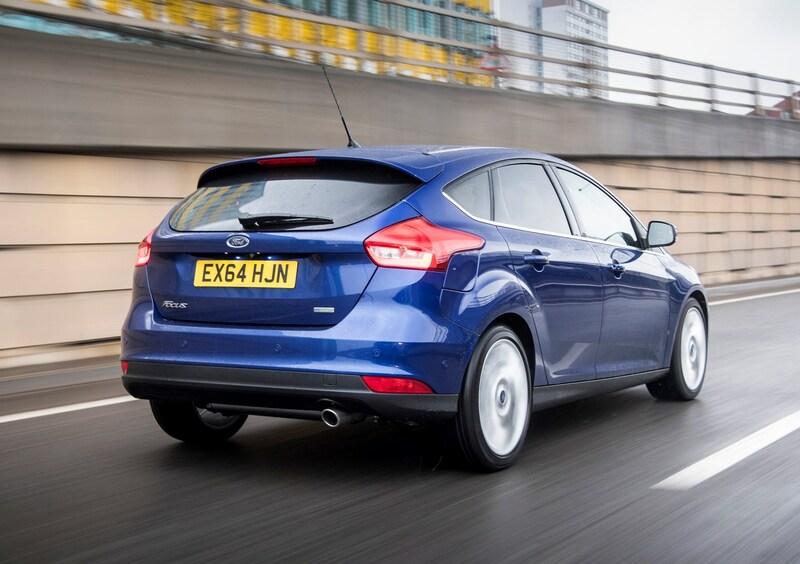 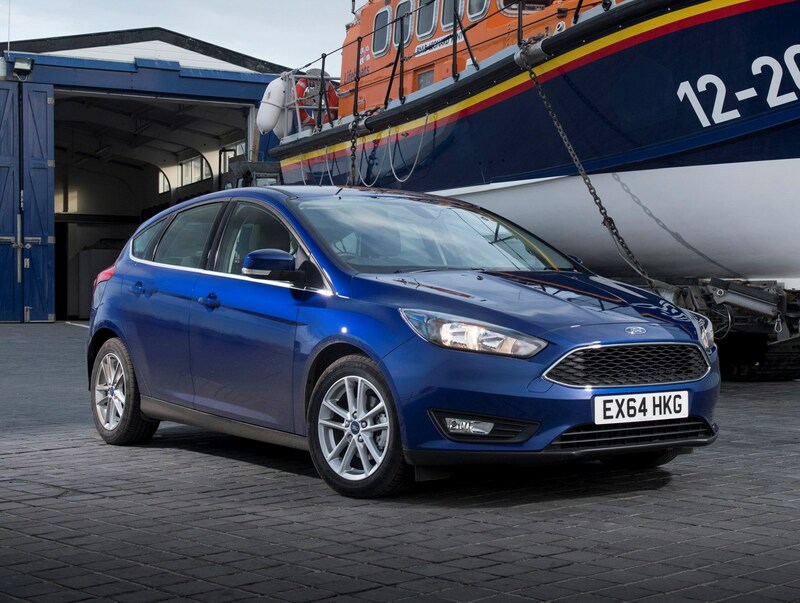 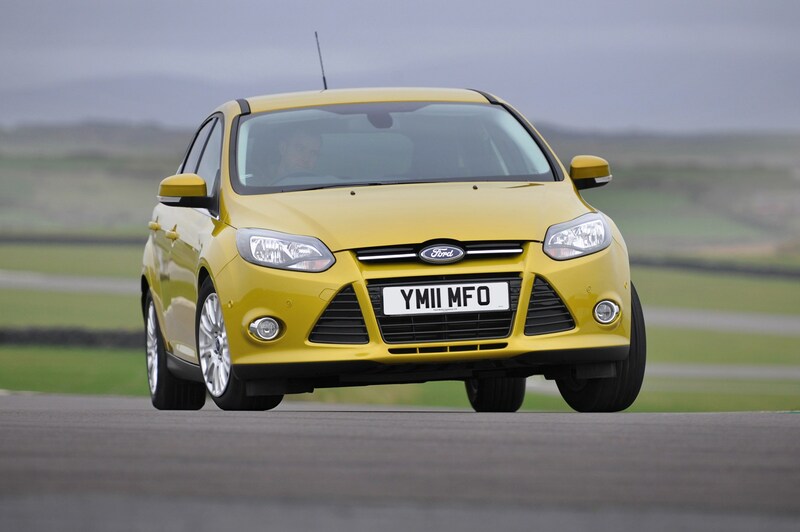 As an all-rounder few cars match the enduring appeal of the Ford Focus hatchback. 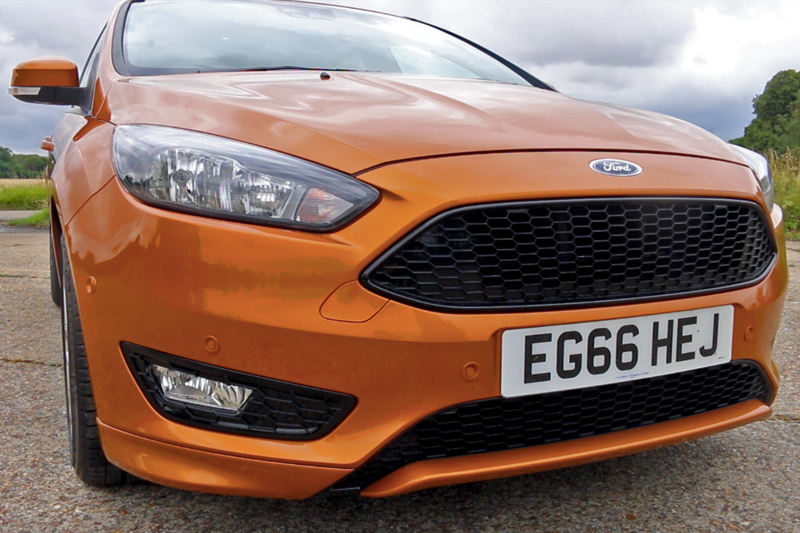 There's a version for pretty much everyone – from the humble 1.0-litre Ecoboost to the brilliant 2.3-litre RS – and they're all good to drive. 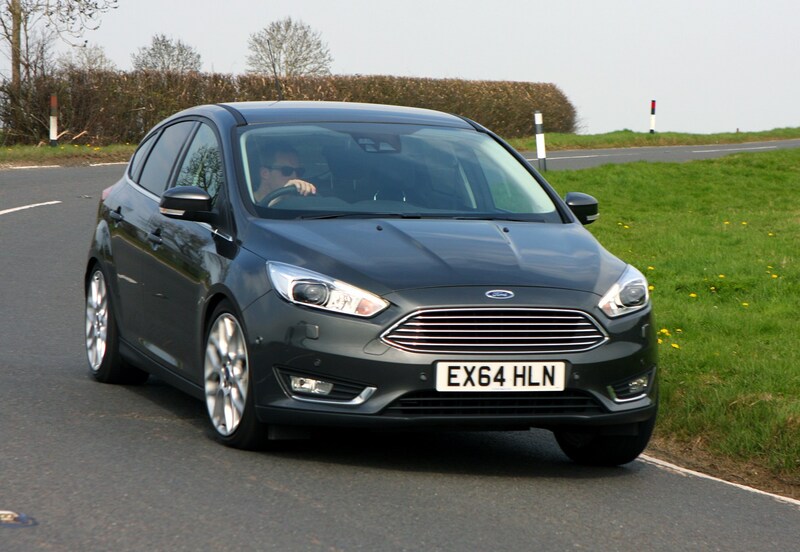 Whether you’ve a young family and are looking for something inexpensive and safe to run, or you’re after a nimble and engaging hot hatch with a useful degree of practicality, chances are there’s a Focus to suit your needs. 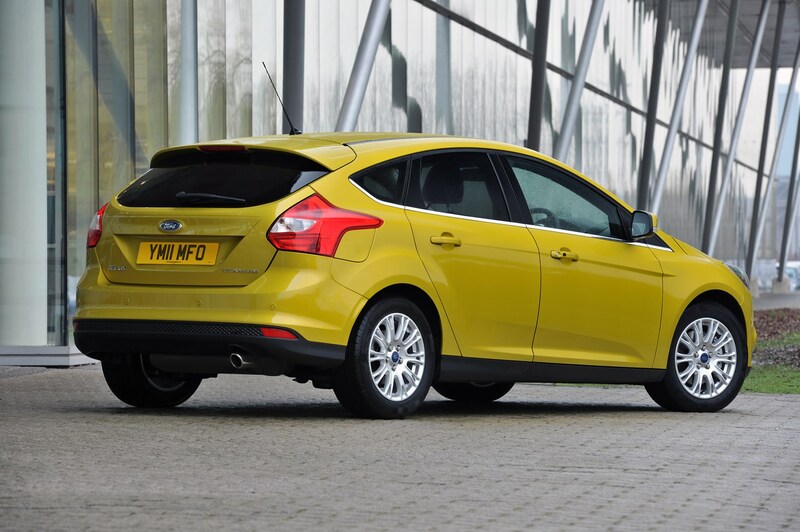 It’s no surprise it’s such a big seller. 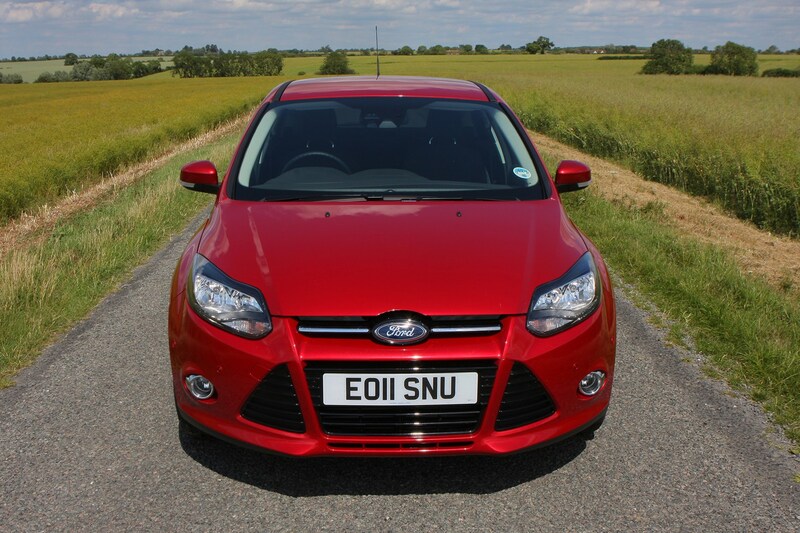 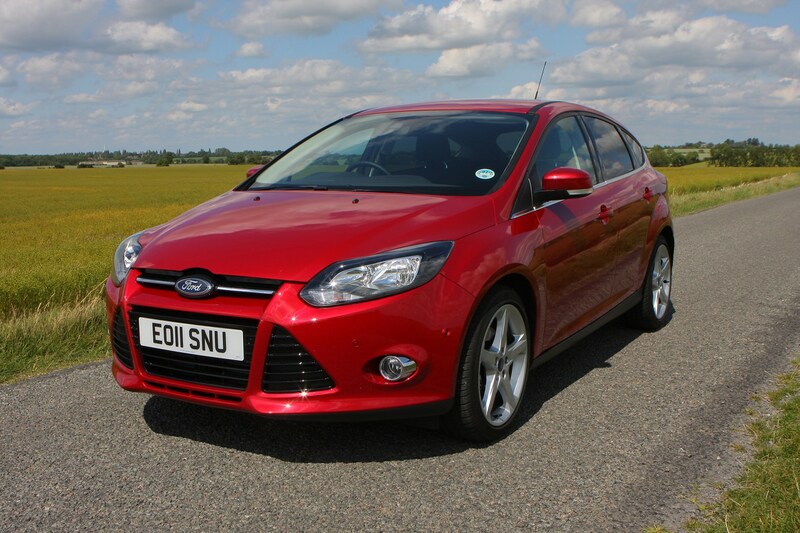 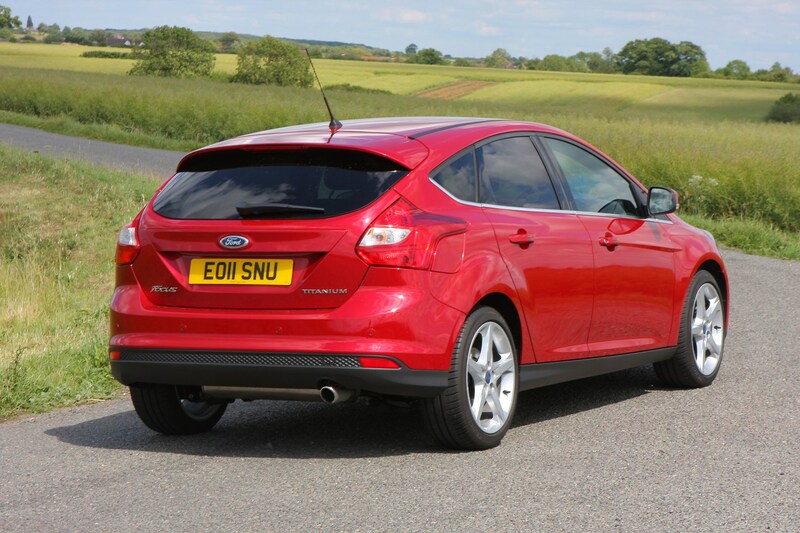 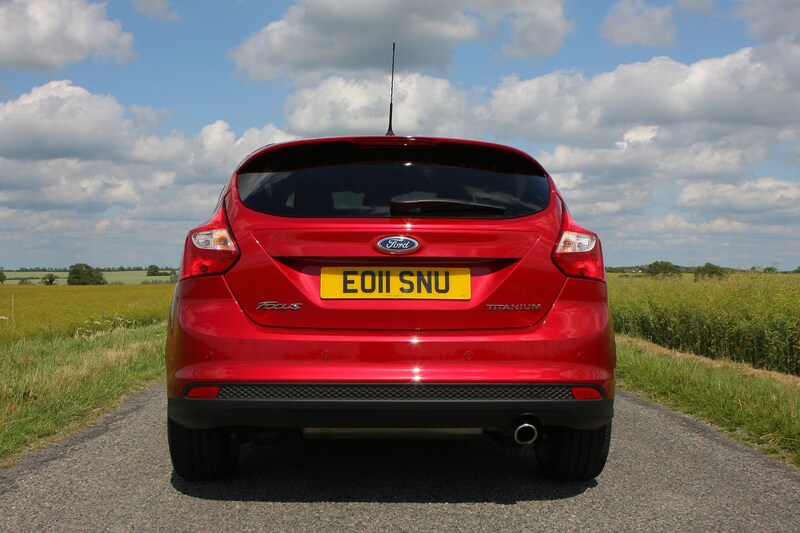 The third iteration of Ford Focus was introduced in 2011 as a five-door hatchback and the separately-reviewed Estate. 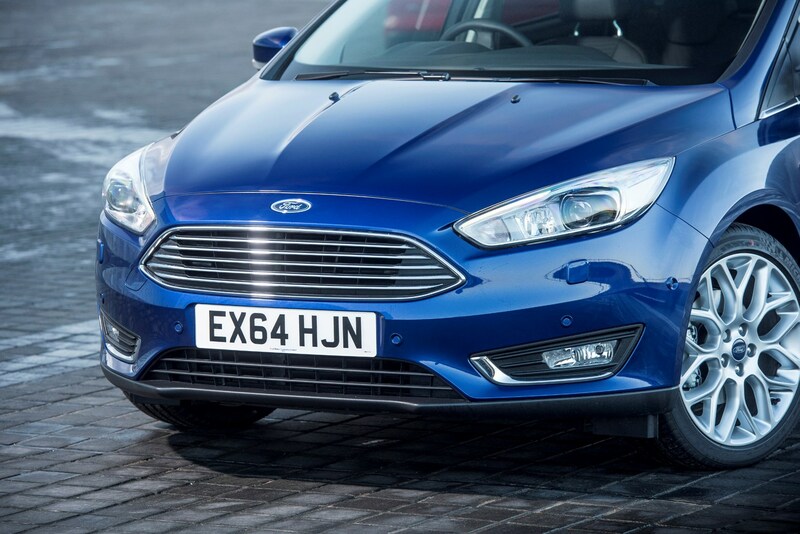 Gone from this generation are the slower-selling three-door hatch, the even less popular saloon and the unfancied Coupe-Cabriolet. 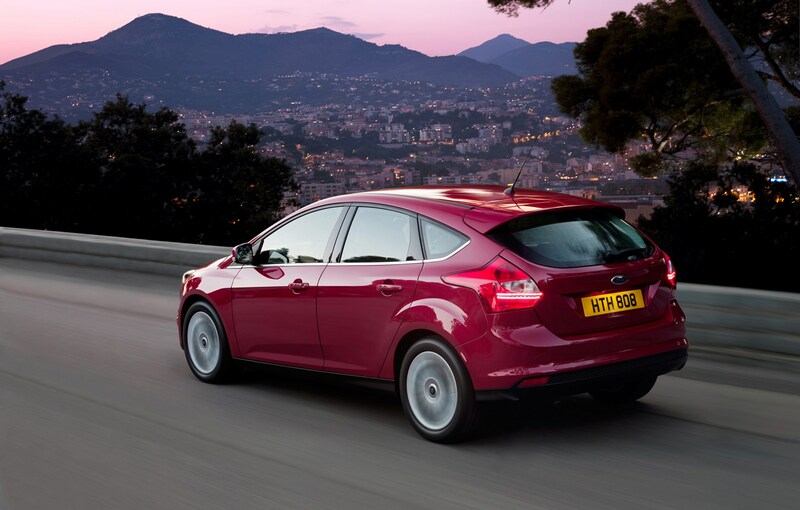 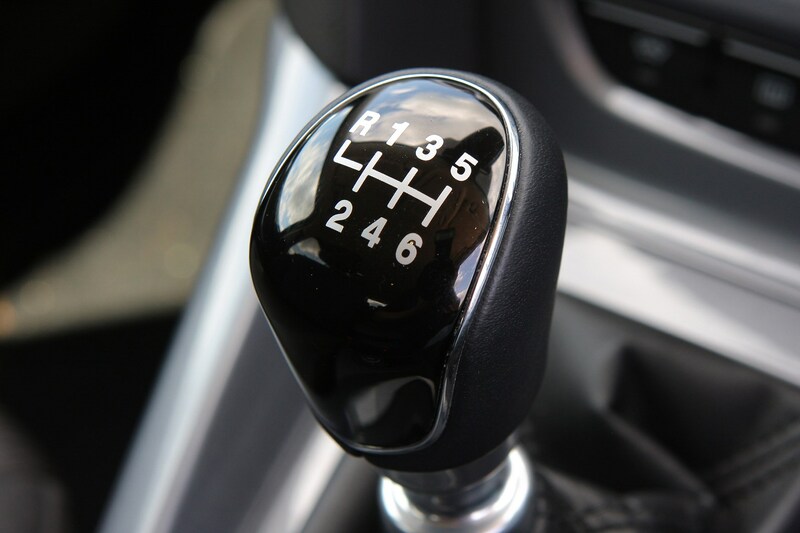 It’s a majorly competitive sector that the Focus competes in with virtually every manufacturer offering thoroughly competent alternatives: the Vauxhall Astra, Volkswagen Golf – along with its SEAT Leon and Skoda Octavia siblings – as well as the Honda Civic, Hyundai i30, Kia Ceed, Peugeot 308 and Renault Megane are just a few of the hatchbacks on the market giving Ford a headache. 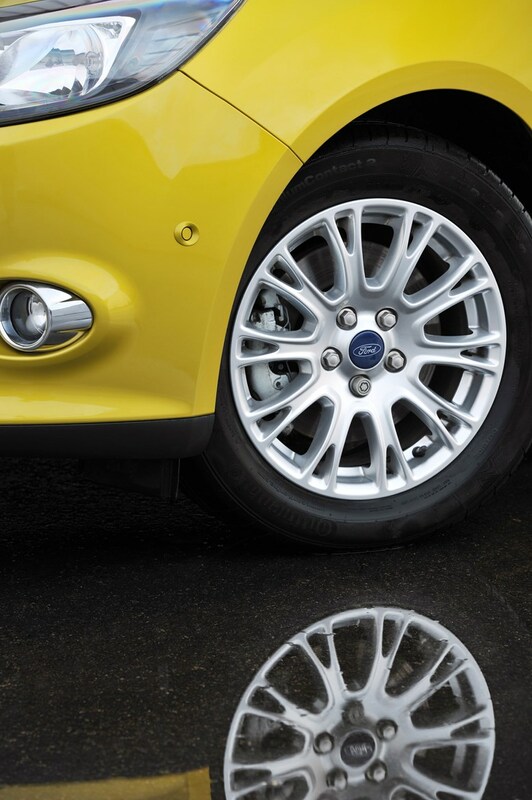 Rarely does the Blue Oval rest upon its laurels, consequently this generation Focus has been regularly honed and improved upon to help maintain its appeal. 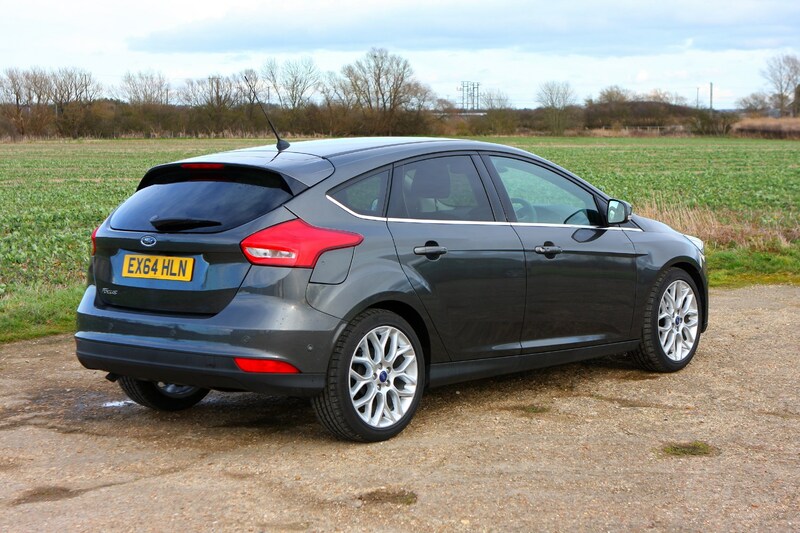 Key to its appeal aren't just visual and in terms of value for money – the Focus has keen steering and a great gearchange (in manual form), so keen drivers will feel like this car has been designed for them. 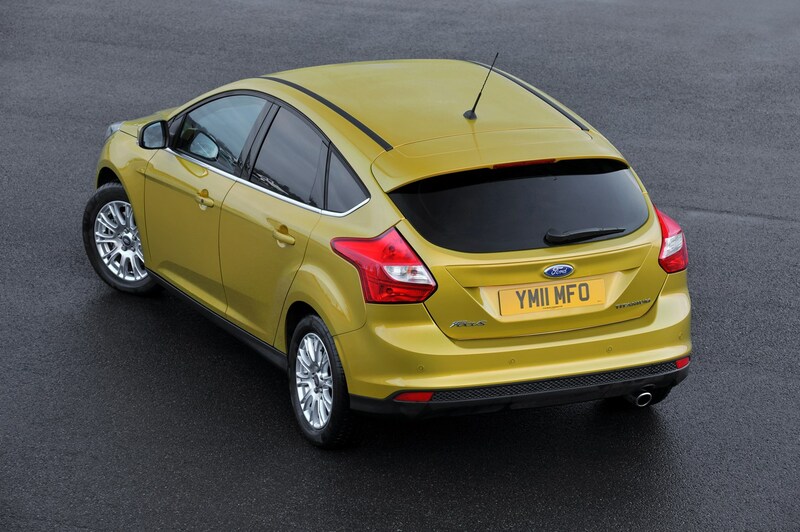 A significant facelift for the Focus was introduced in 2014 (although not for the slow-selling electrically-powered model) with a new bonnet, front wings, bumpers (the front one incorporating a slender new grille) and slimmer headlamps. 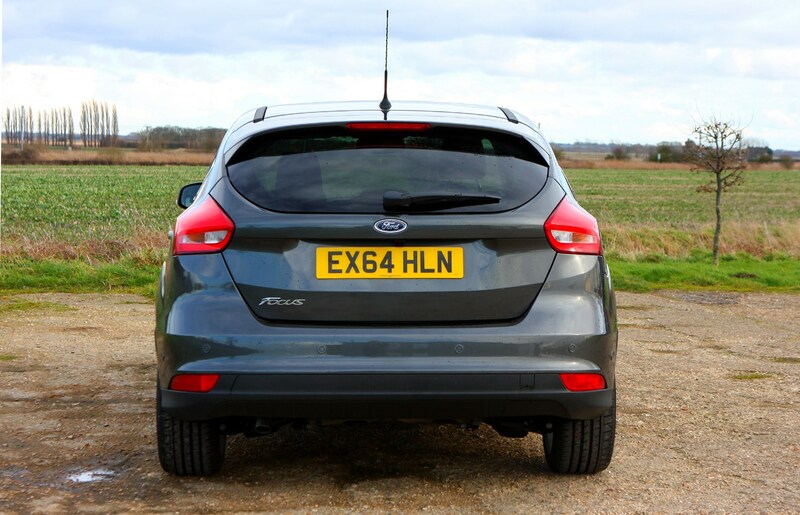 At the back, LEDs feature in the reshaped lights and there’s a new tailgate design. 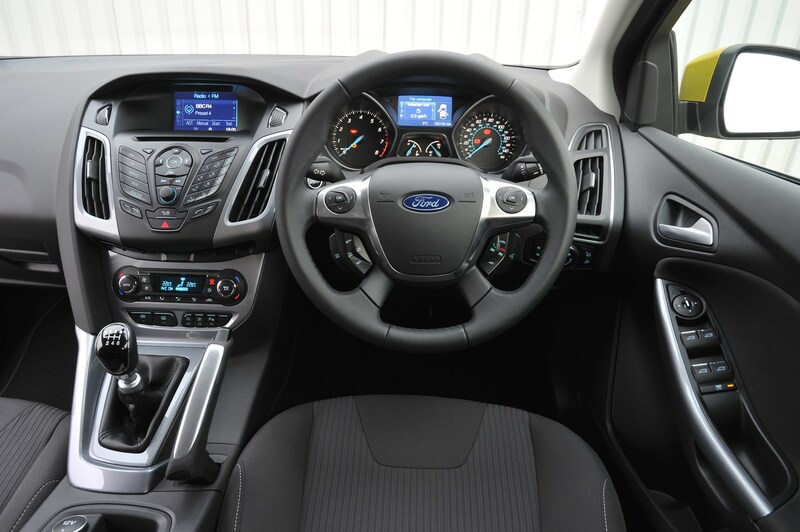 Climb inside and you’ll notice the cabin materials were upgraded too, with many models featuring an 8.0-inch touchscreen at the top of the dashboard for the multimedia system (Sync2 initially, then Sync3 from 2017). 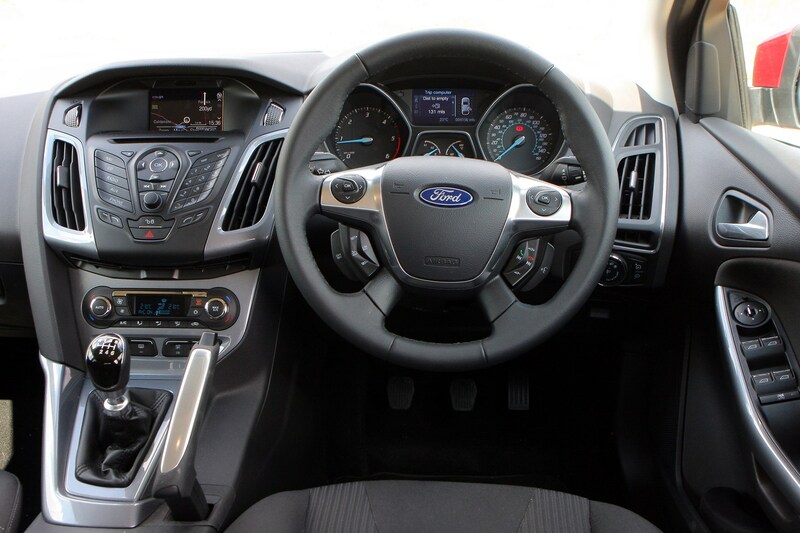 All versions benefited from new instruments and redesigned switchgear, giving a mild uplift in quality. 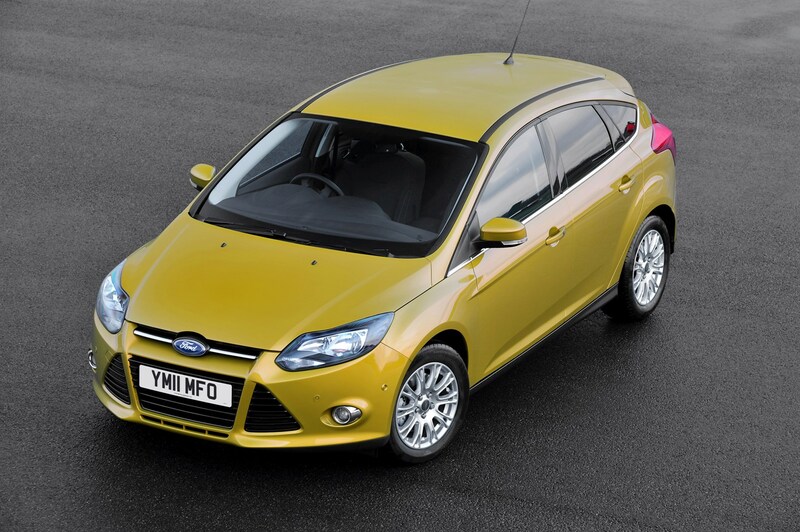 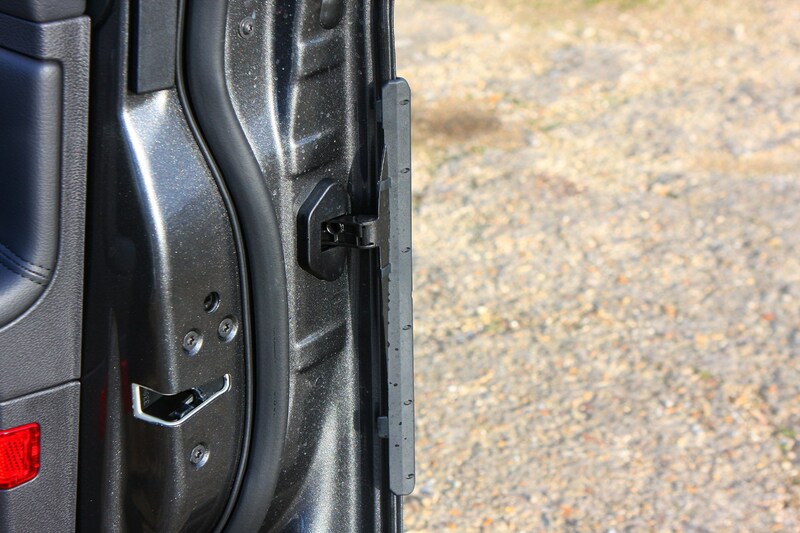 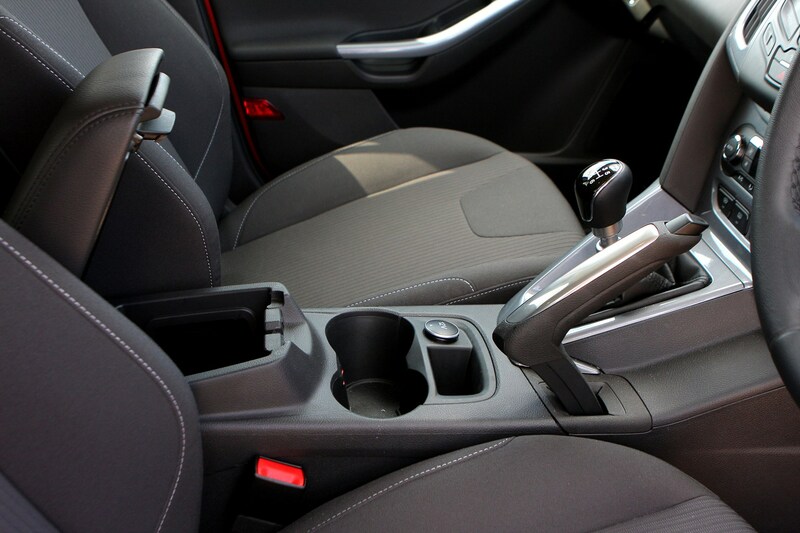 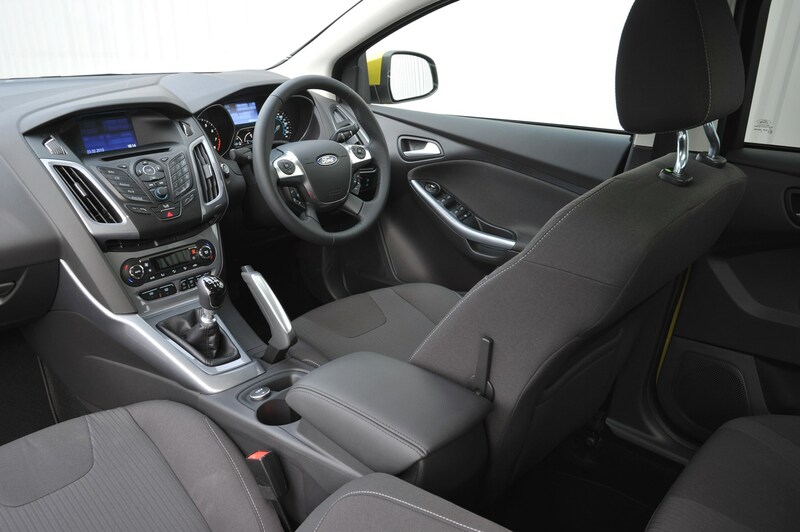 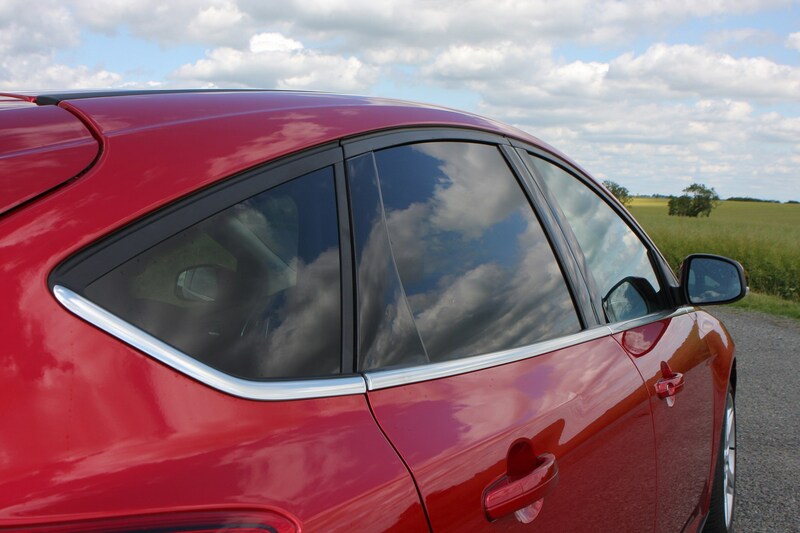 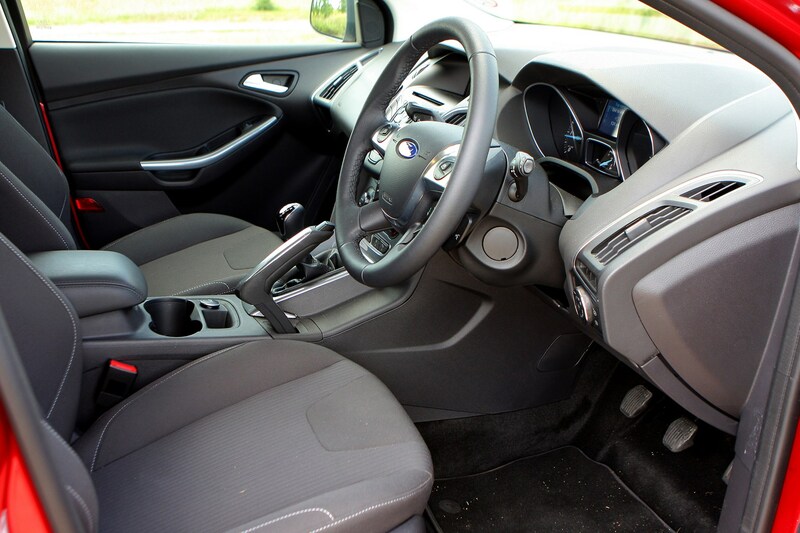 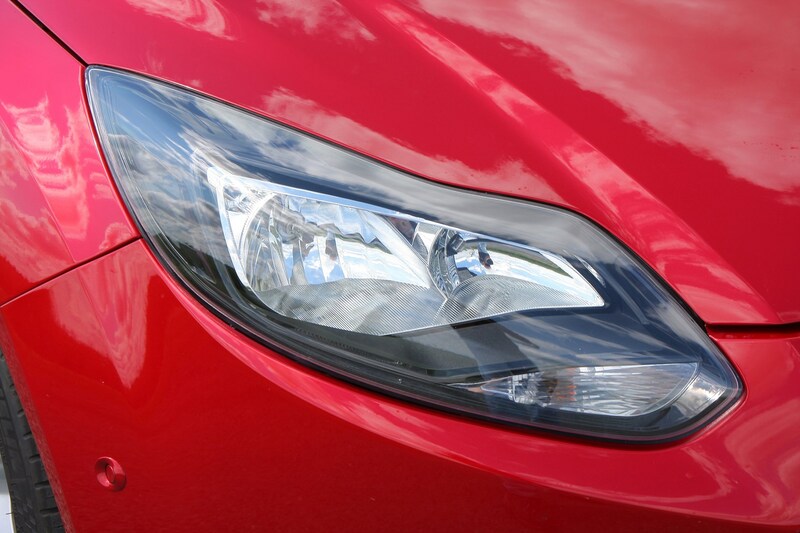 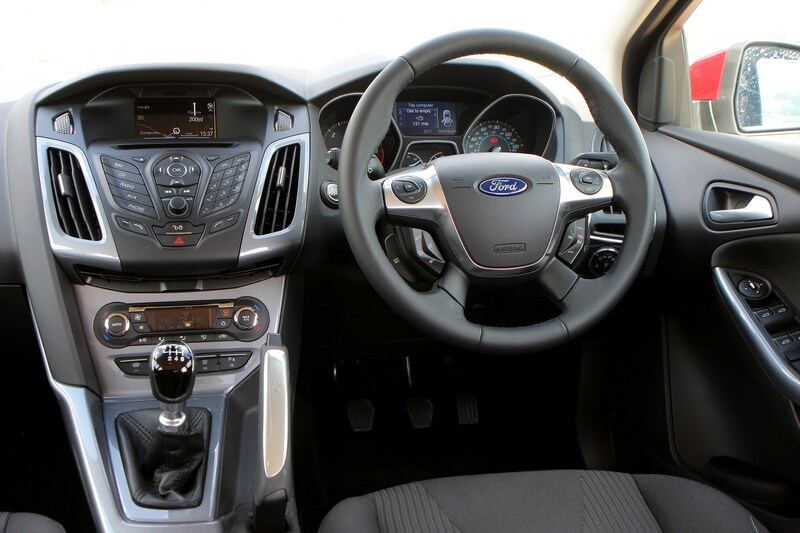 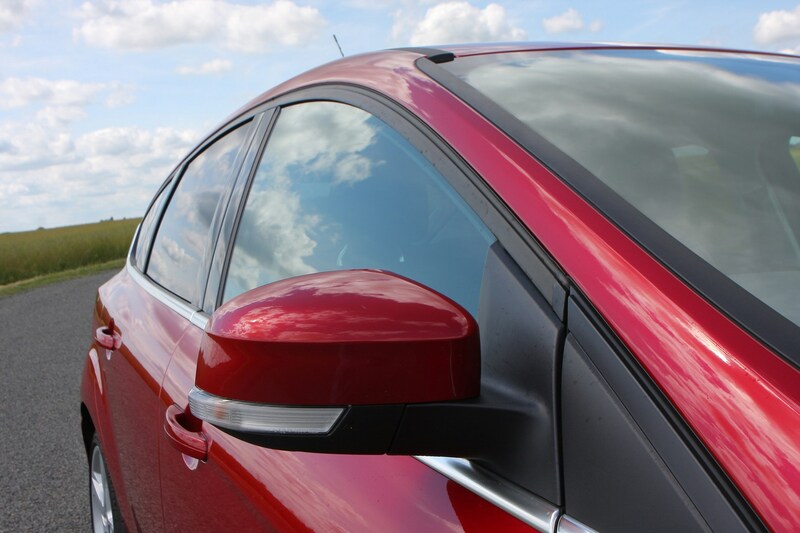 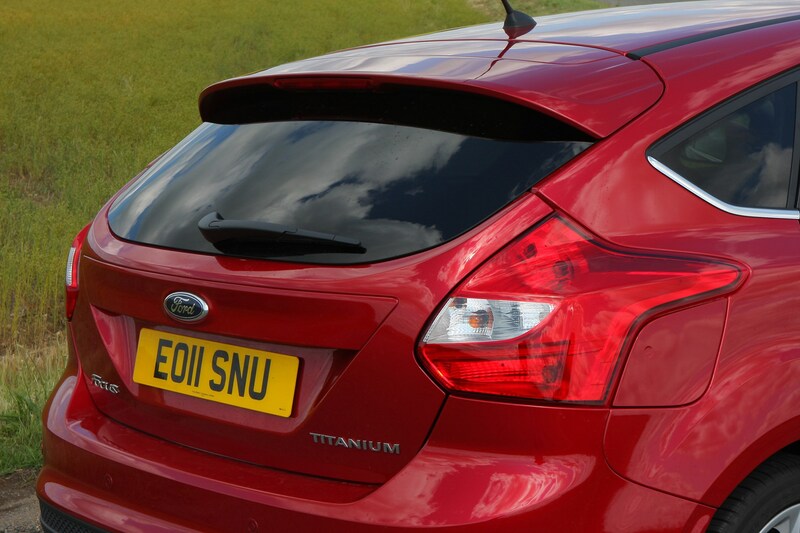 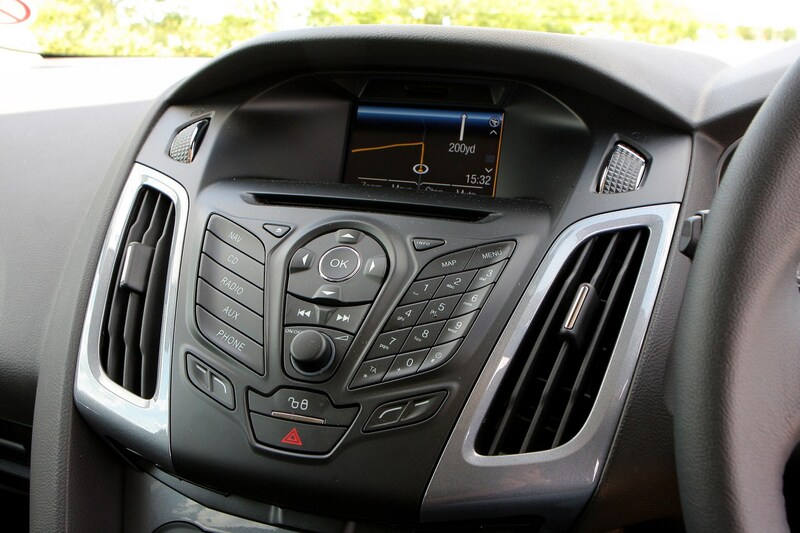 Further enhancements were also made to the Focus’s self-parking and active safety systems. 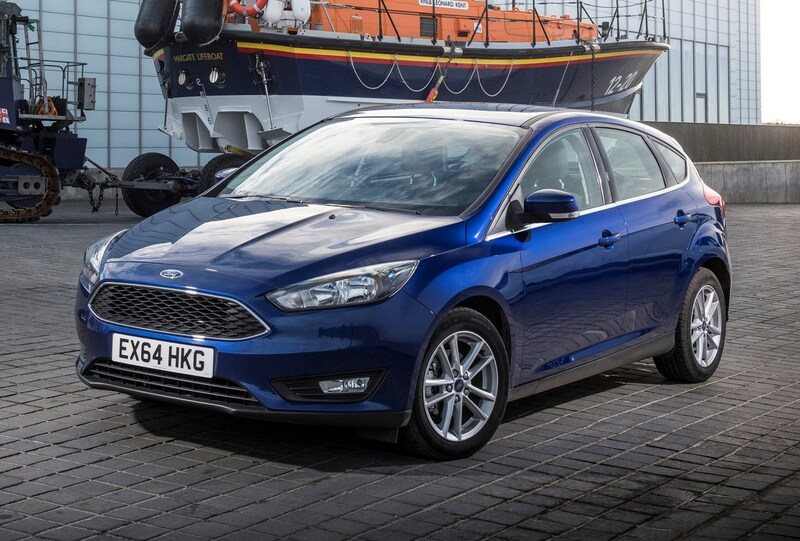 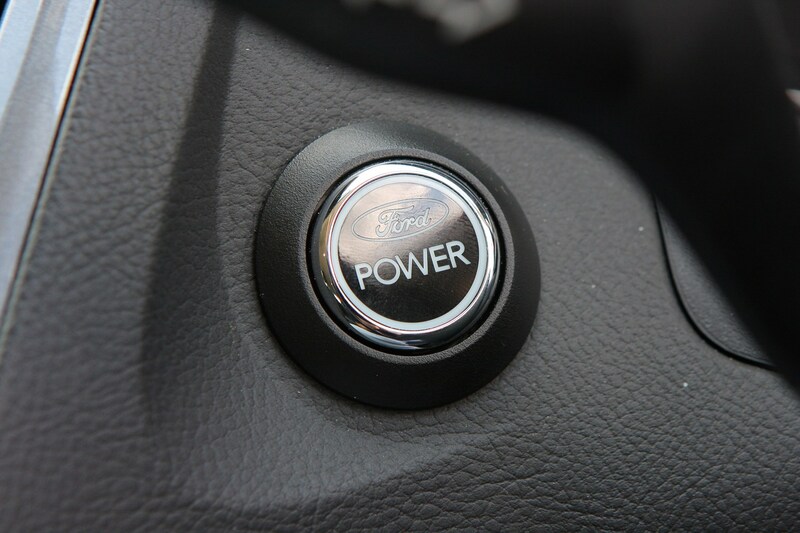 The breadth of powertrain choices for the Ford Focus is extraordinary, with most of the petrols and all of the diesels featuring turbocharging for efficient performance. 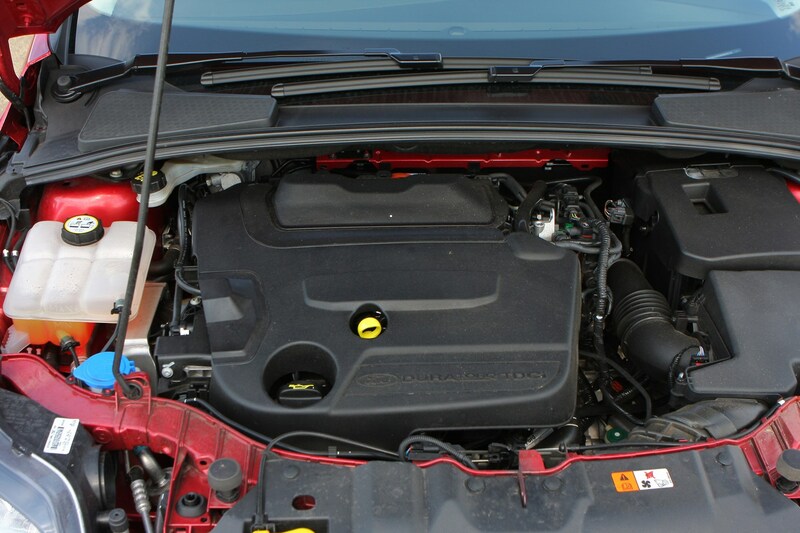 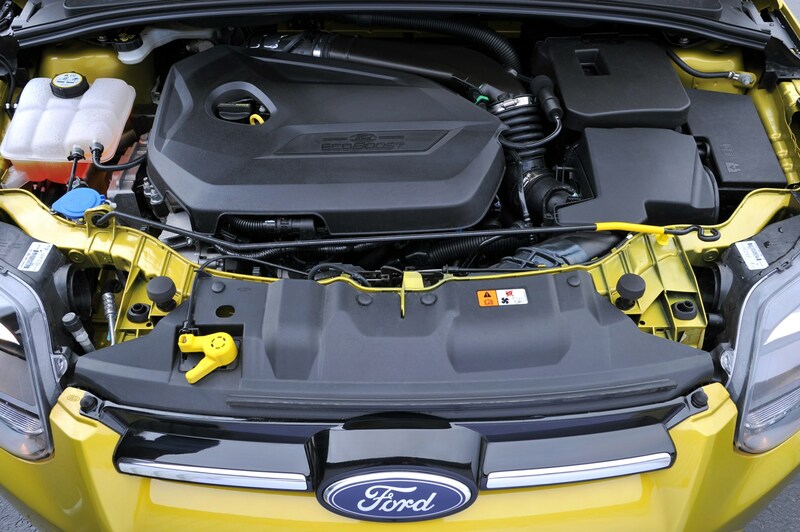 EcoBoost – read turbo – petrols come in 1.0- and 1.5-litre guises for the mainstream Focus range, producing between 100hp and 182hp, yet with CO2 emissions of just 99g/km for the least-polluting version. 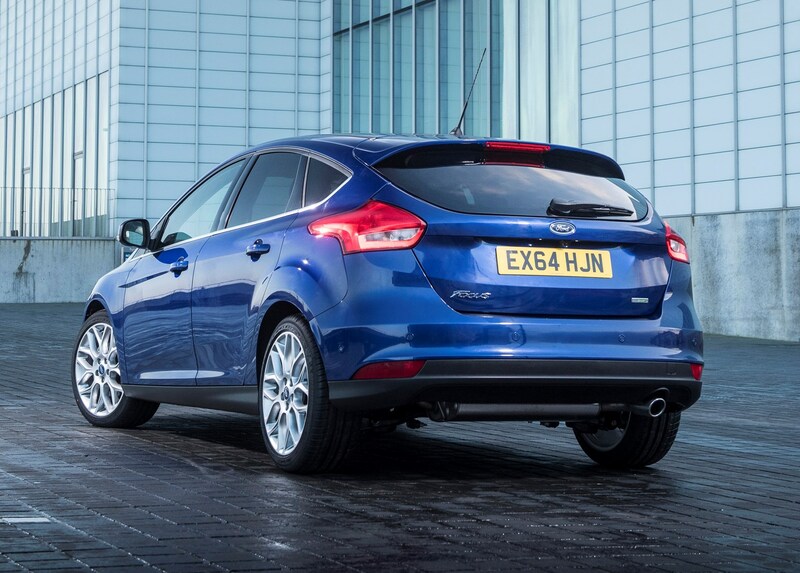 Diesel fans have a choice of 1.5- and 2.0-litre units, serving up between 95hp and 150hp and, unsurprisingly, represent the most efficient of the conventional powerplants for the Focus. 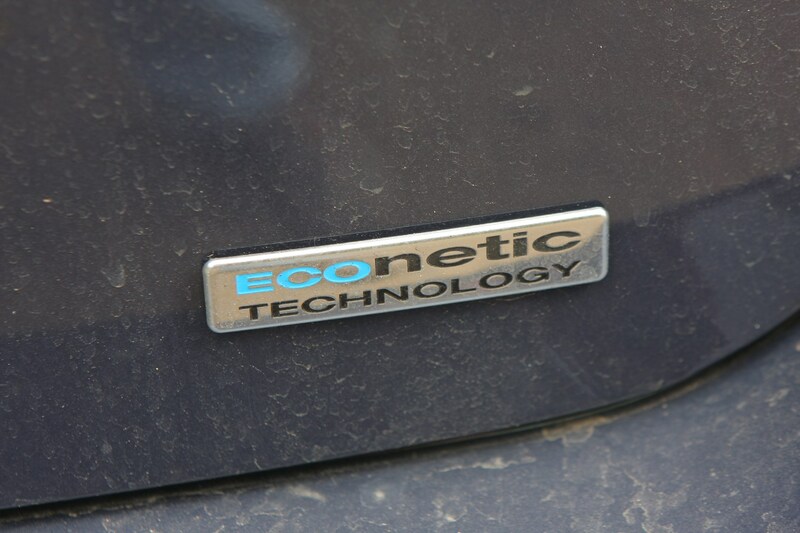 In fuel-sipping Econetic form, the 1.5 TDCi Focus has a claimed average of 83.1mpg with emissions of 88g/km of CO2. 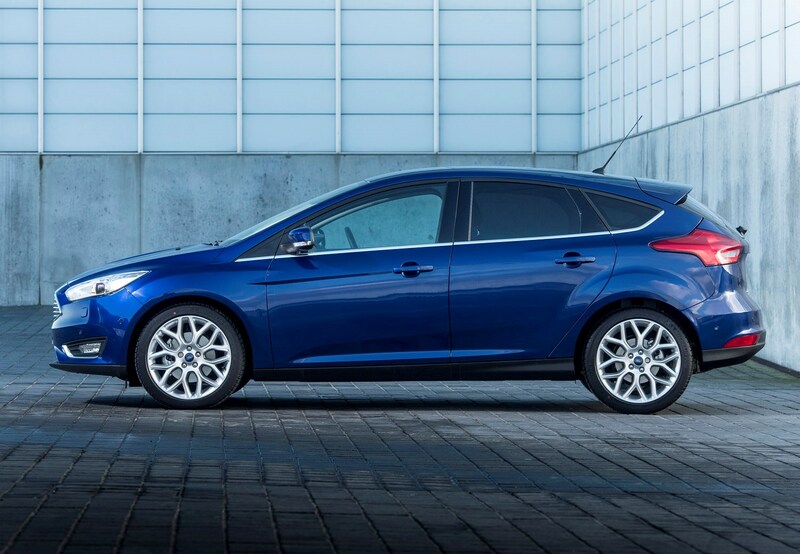 You can go even greener with the very slow-selling Focus Electric, which simply requires charging up to replenish its batteries, although the maximum range is limited to 100 miles before you’ll need to plug it in again. 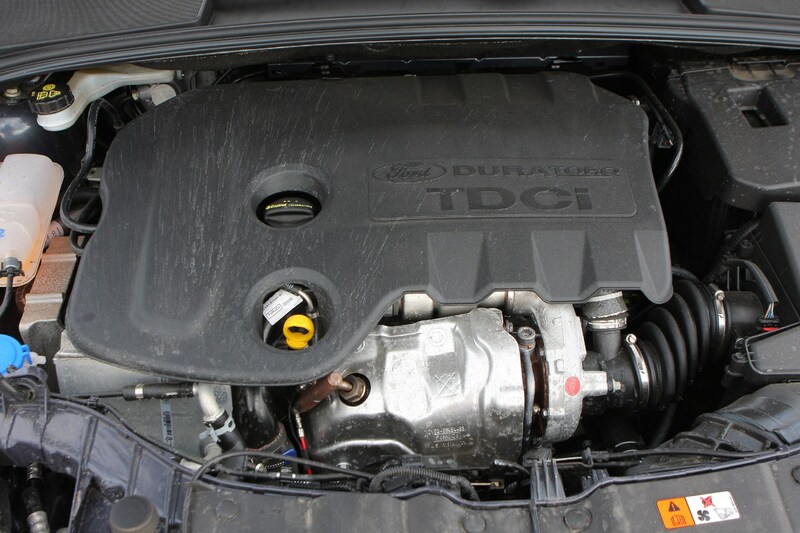 On the plus side, the car itself is emission-free. 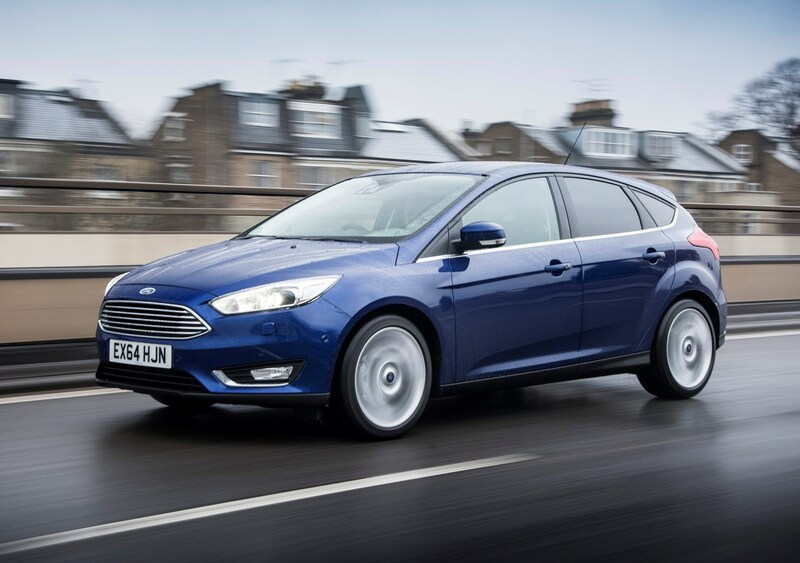 Ford has a proud history of offering high-performance versions of its regular family cars and this generation Focus is no different, offered in both hot ST and scorching RS forms. 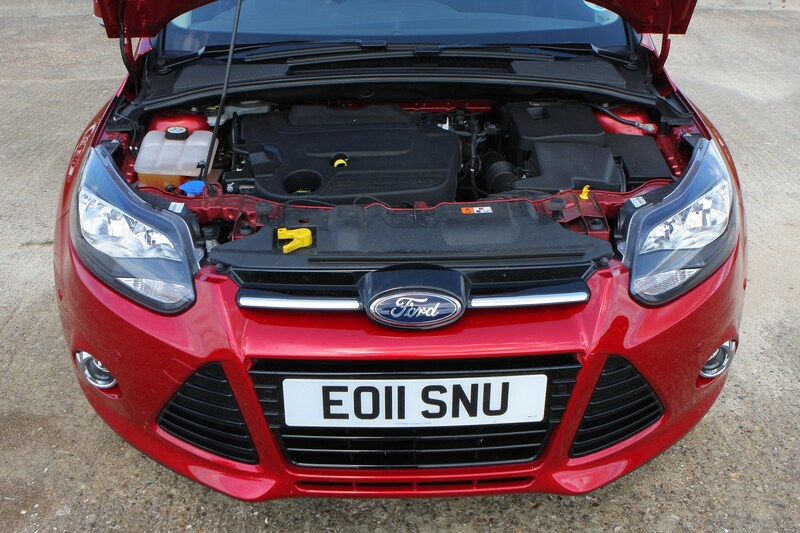 Petrol (2.0-litre EcoBoost, 250hp) and diesel (2.0-litre TDCi, 185hp) versions of the Focus ST are offered, each with a racier bodykit and deeper front grille, with enhanced performance and handling. 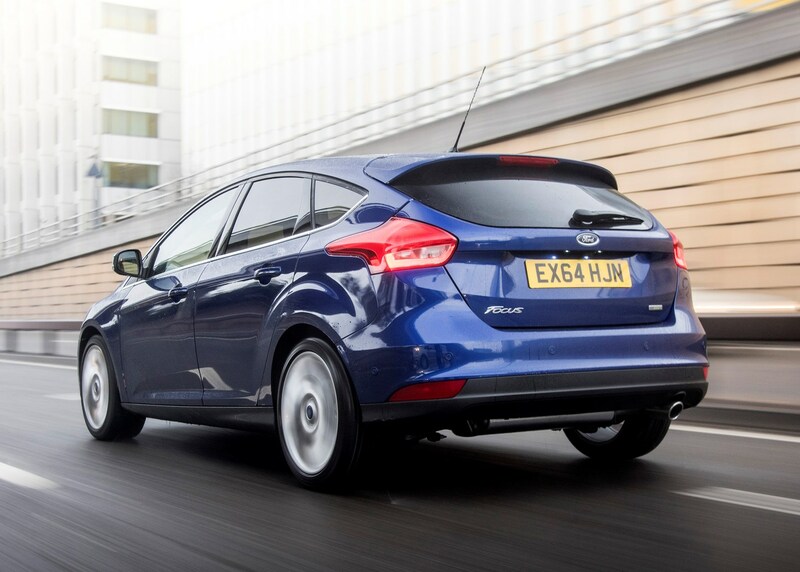 Those petrol versions can reach 154mph and scurry from 0-62mph in 6.5 seconds. 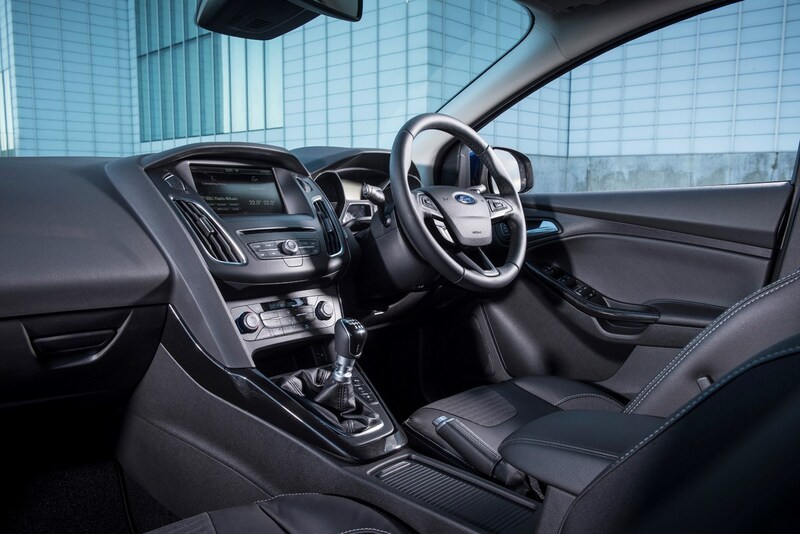 Introduced in 2016, the Focus RS is something else again, offering genuine performance-car slaying speed (165mph, 0-62mph in 4.7 seconds) from its 350hp, 2.3-litre EcoBoost engine. 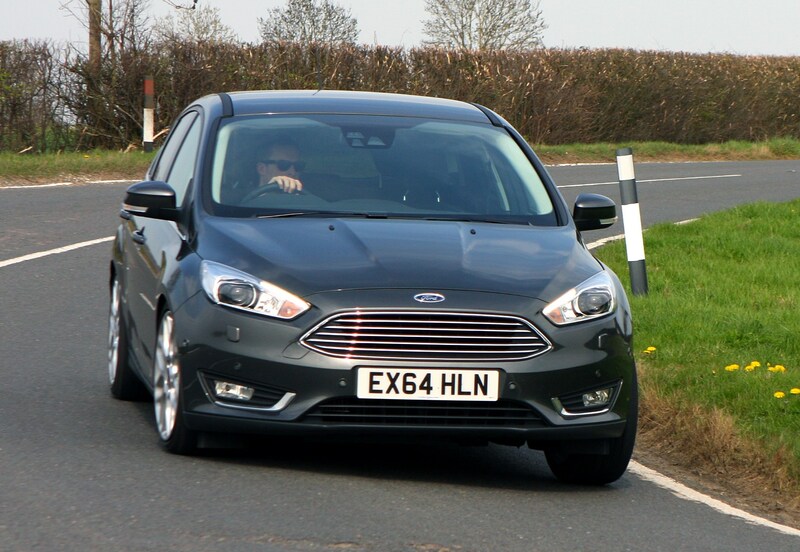 Four-wheel drive and clever electronics keep the car stable or allow it to be playful, depending on your requirements, but while the bodywork’s suitably pumped-up, it looks less outlandish than RSes of old. 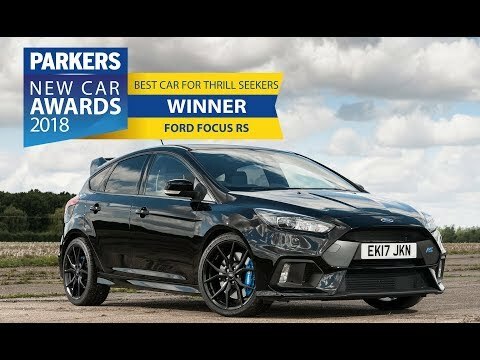 Ford Focus RS Mountune: is it worth it? 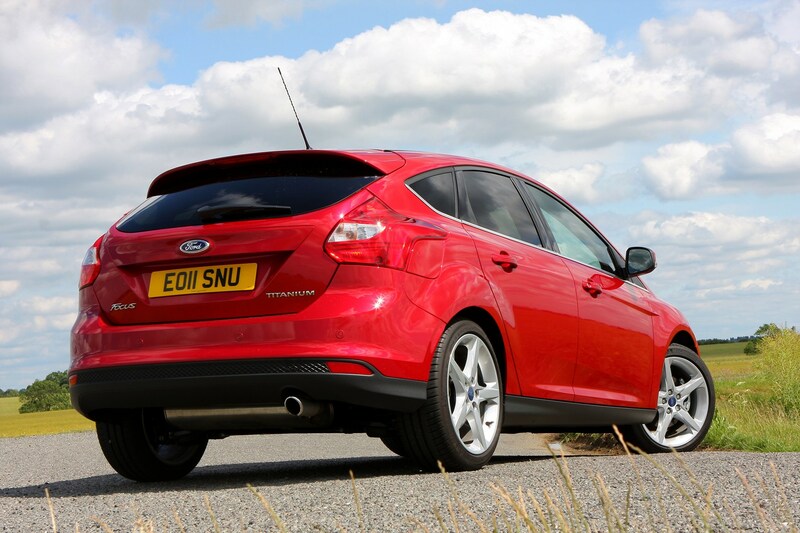 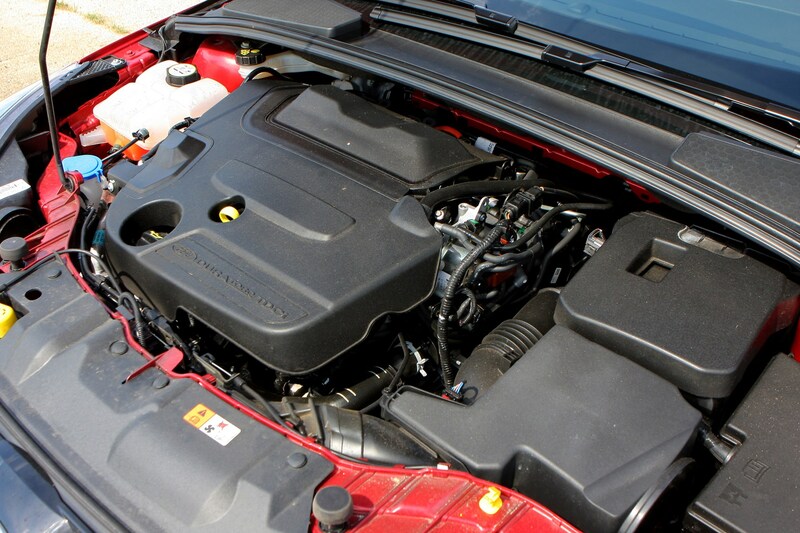 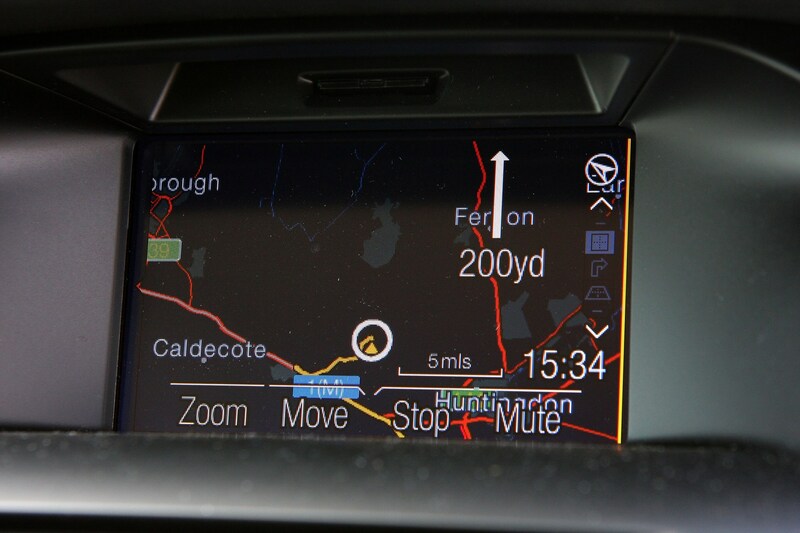 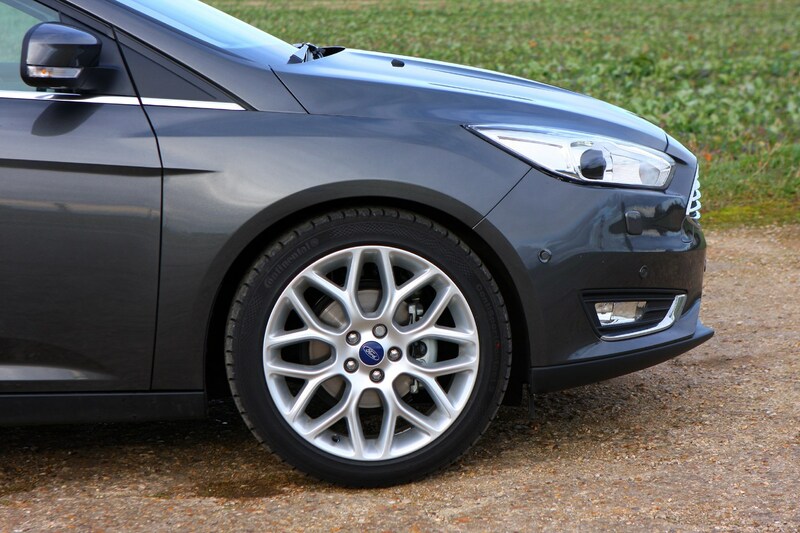 If you want to add even more performance to your fast Ford, consider the £899 Mountune upgrade. 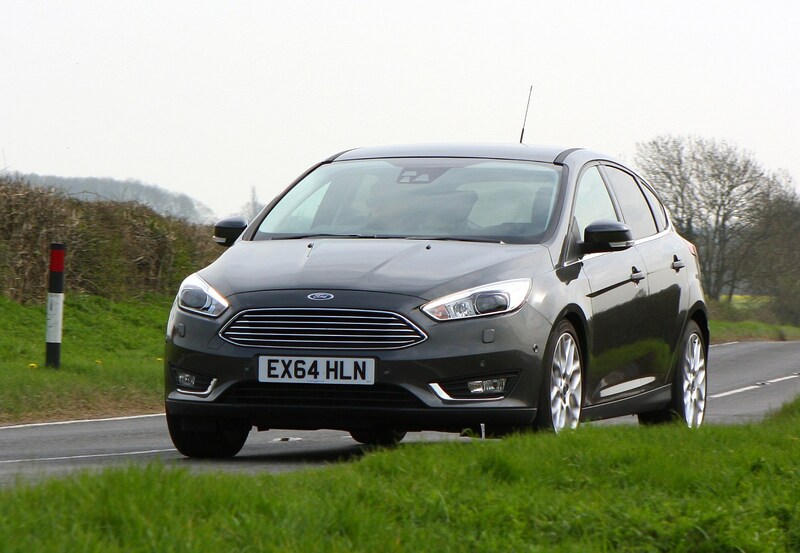 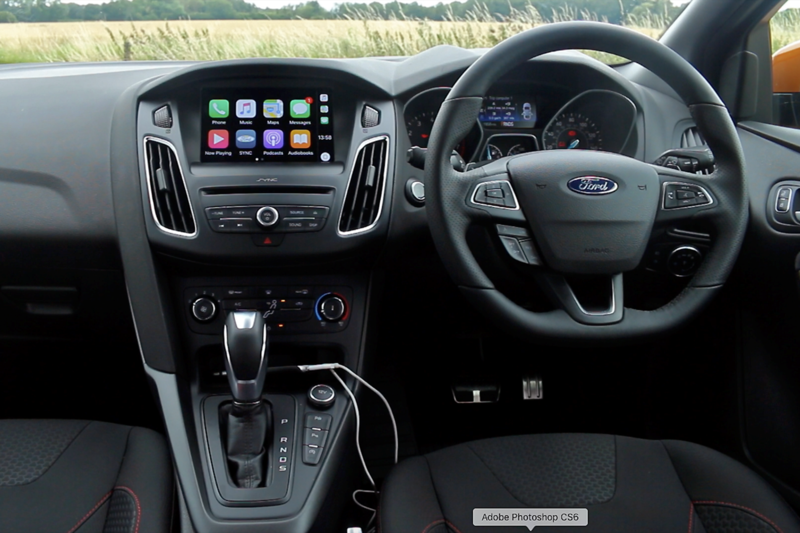 We tested one back to back with a standard car - read our thoughts here. 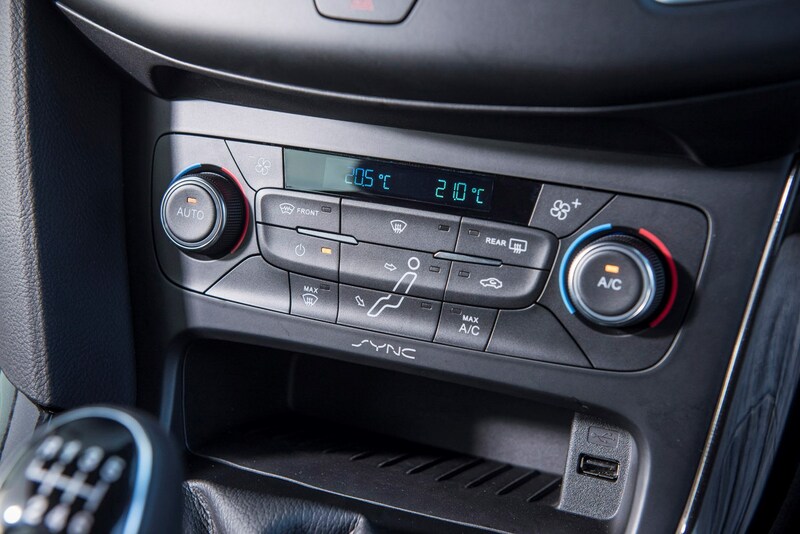 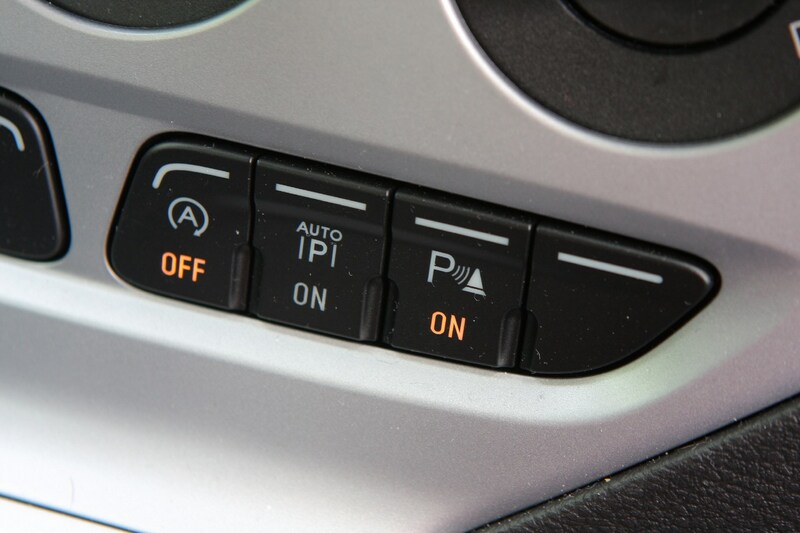 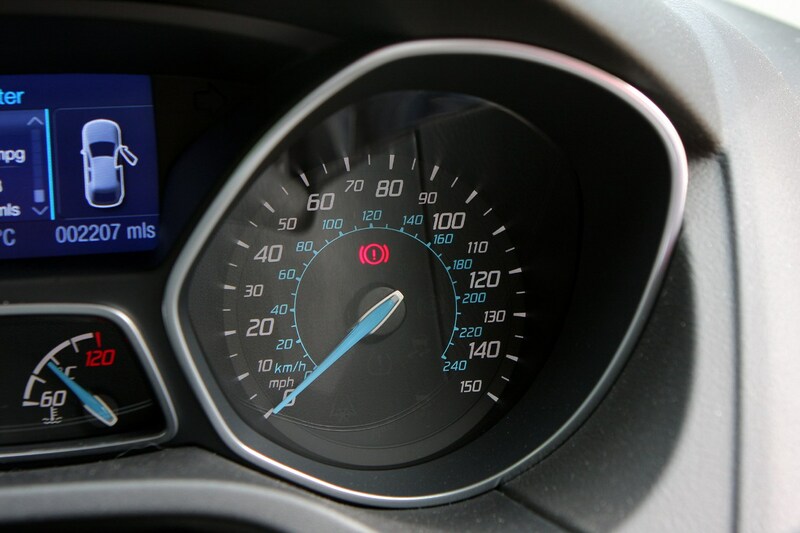 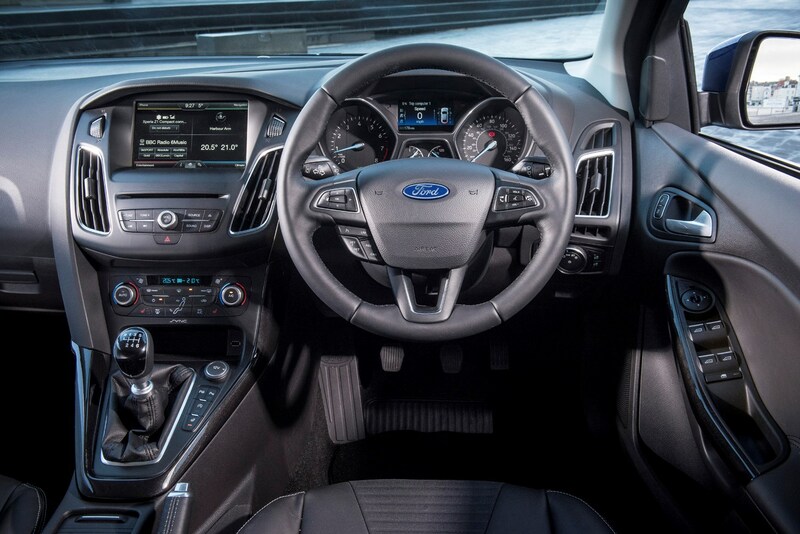 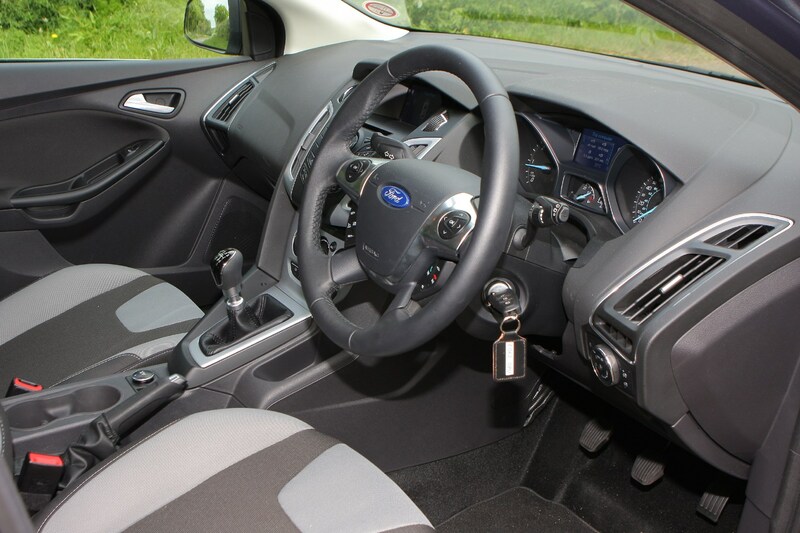 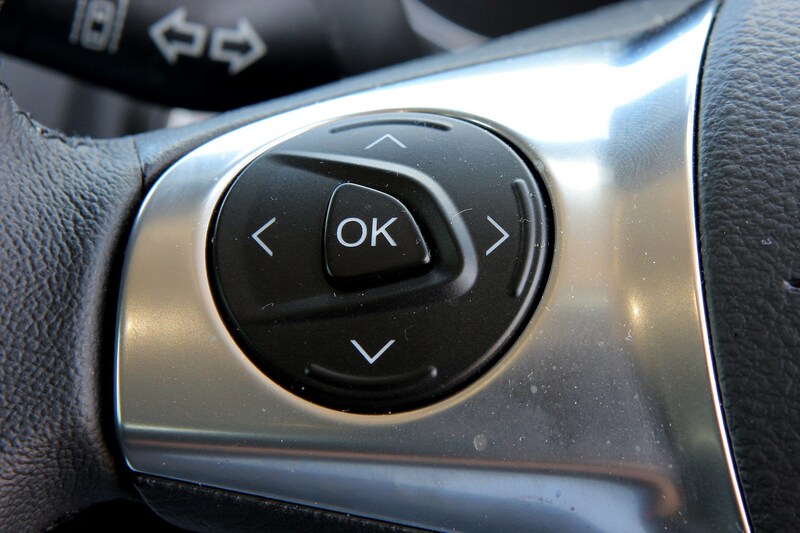 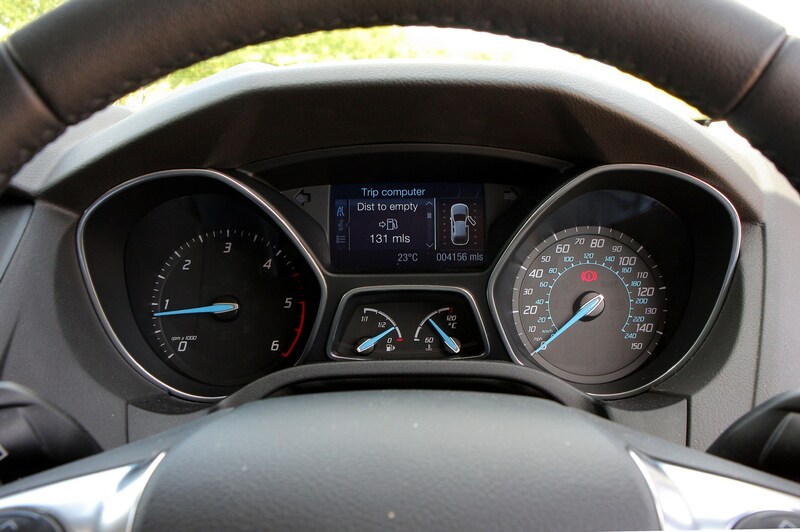 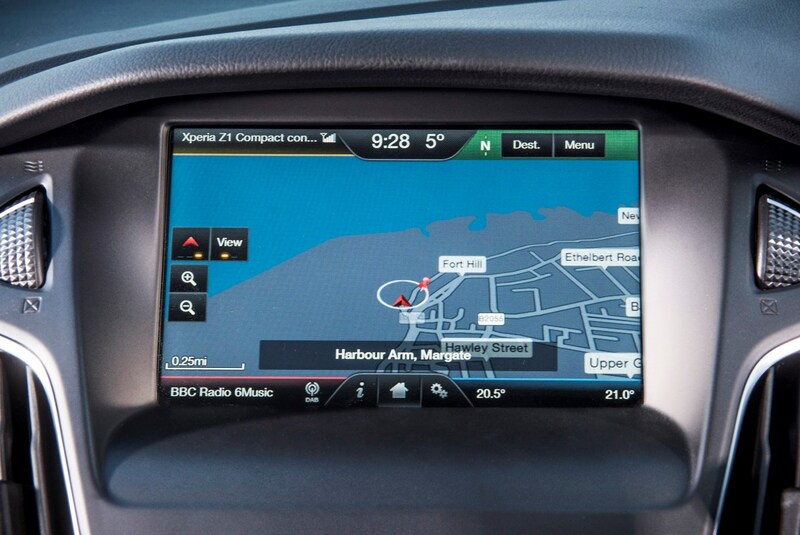 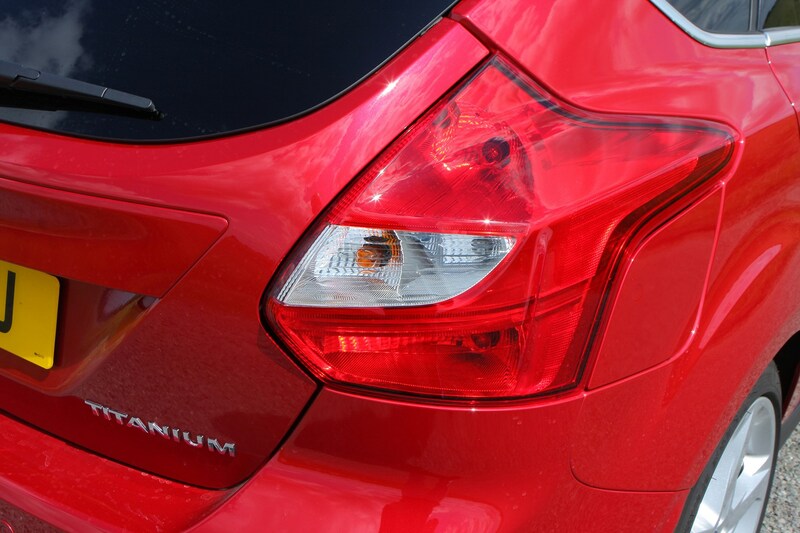 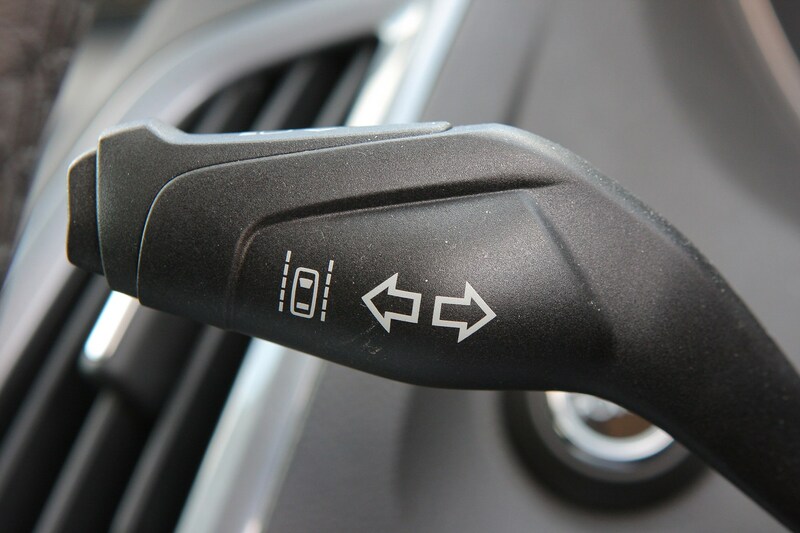 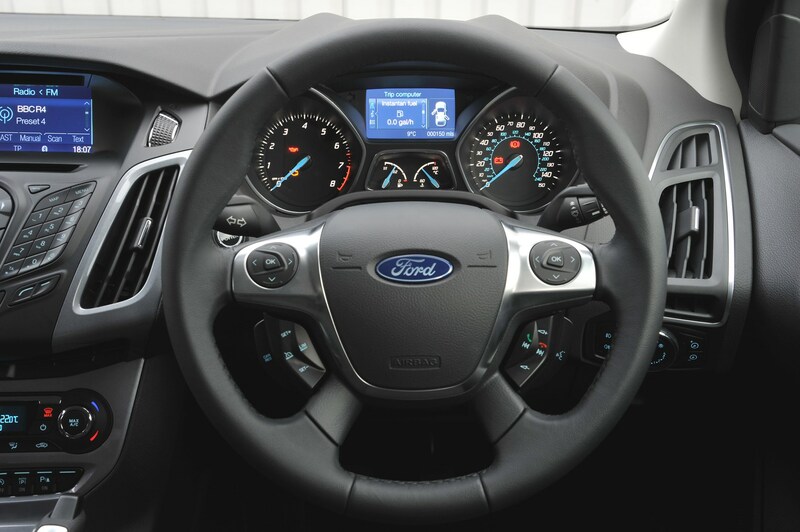 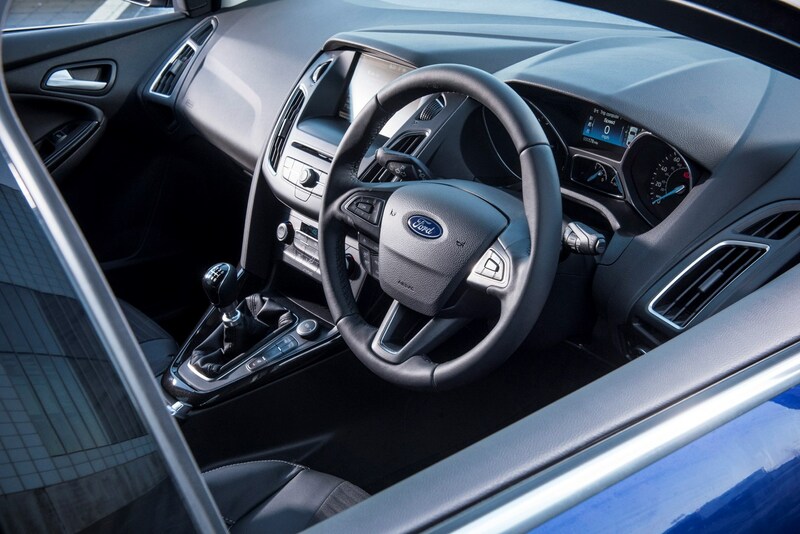 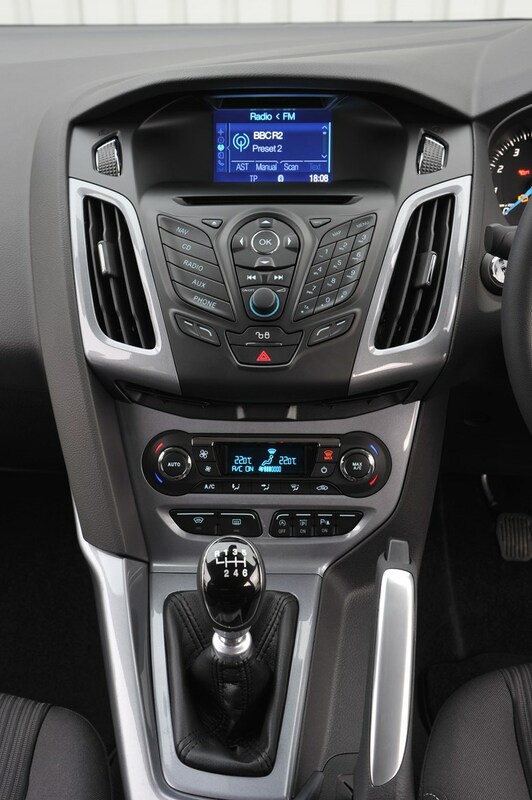 Ford’s Focus hatchback comes with a raft of technology to improve driver safety and ownership experience such as a blindspot indicator, self-parking function and autonomous emergency braking. 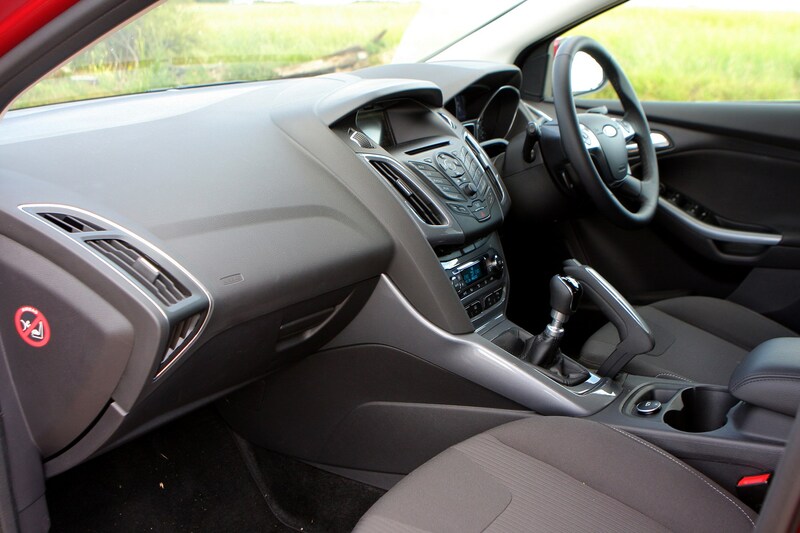 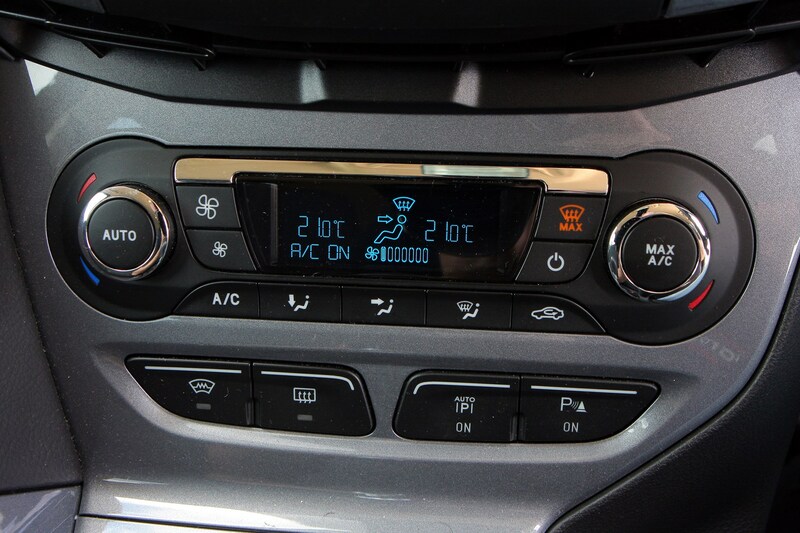 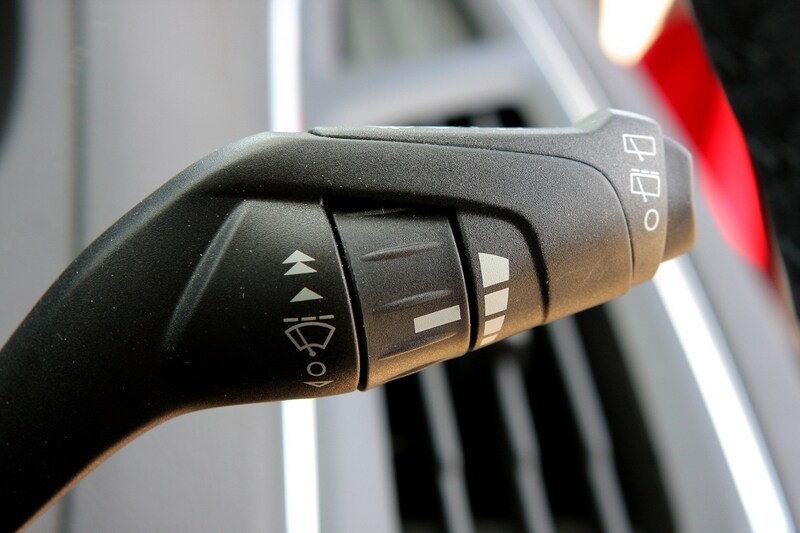 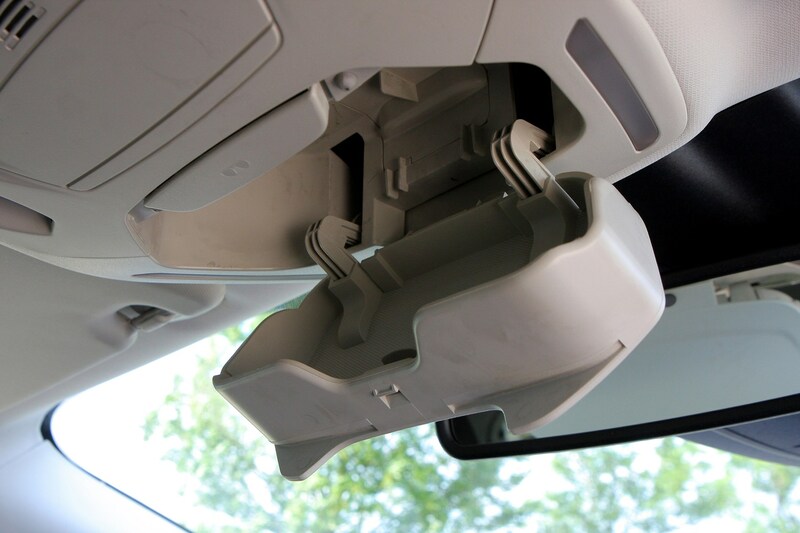 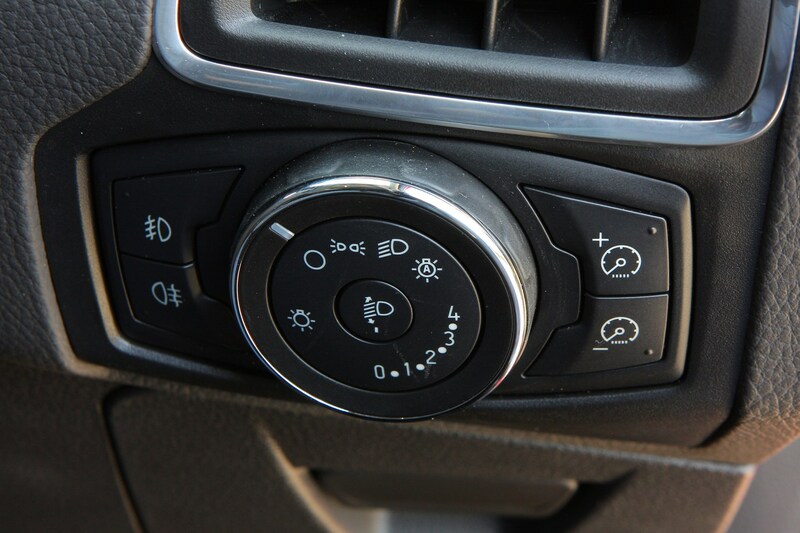 Some of these features are available as options only while others, depending on the trim level you choose, are standard. 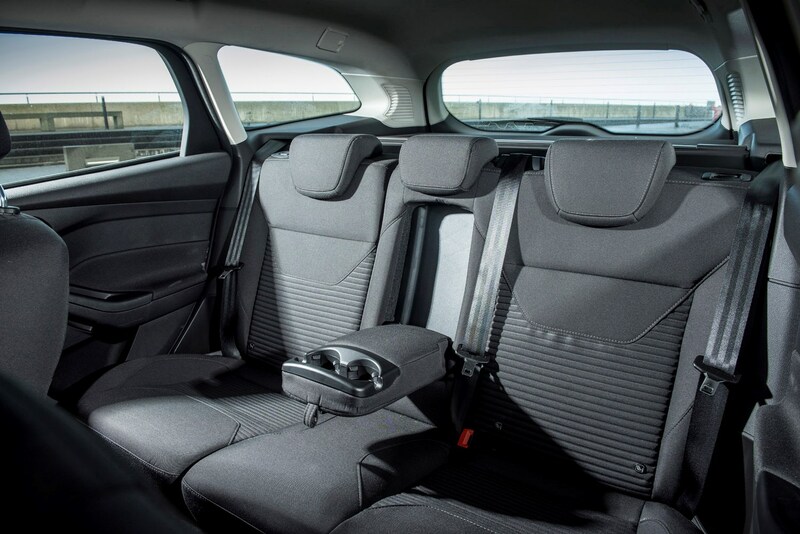 There are nine trim levels available from the entry-level Style that comes with air-con but no alloy wheels through to the performance RS flagship, with the luxurious Titanium models providing comfort for those seeking a more premium aura. 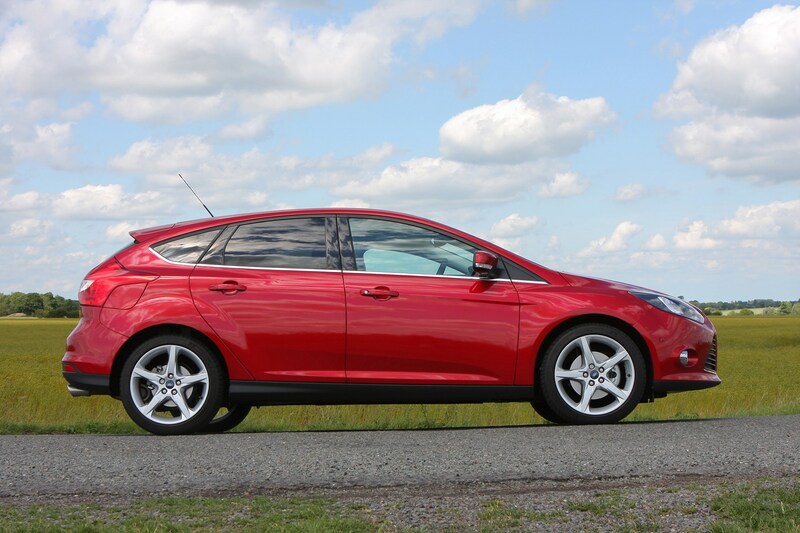 You know what you're getting with a Ford Focus, and unless you're looking for the absolute last word in quality, you won't be disappointed. 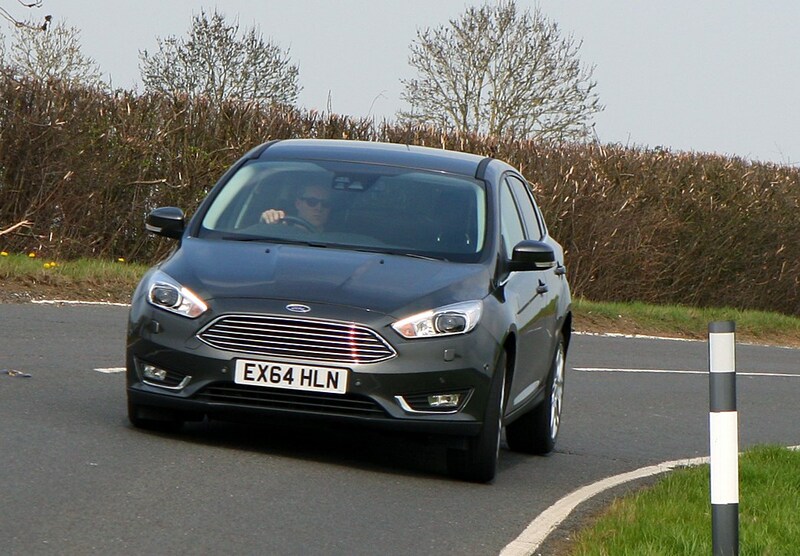 The choice of the range (RS aside) has to be the more powerful 1.0-litre Ecoboost, which is frugal (when driven gently) and fun to drive. 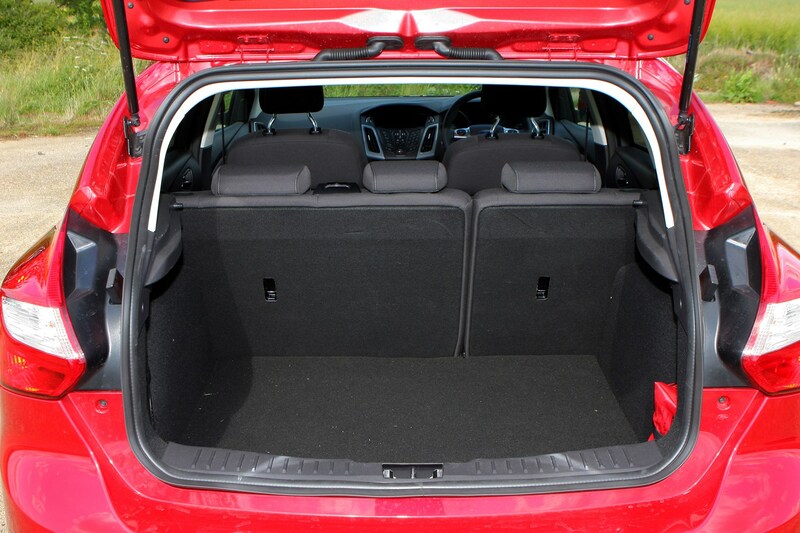 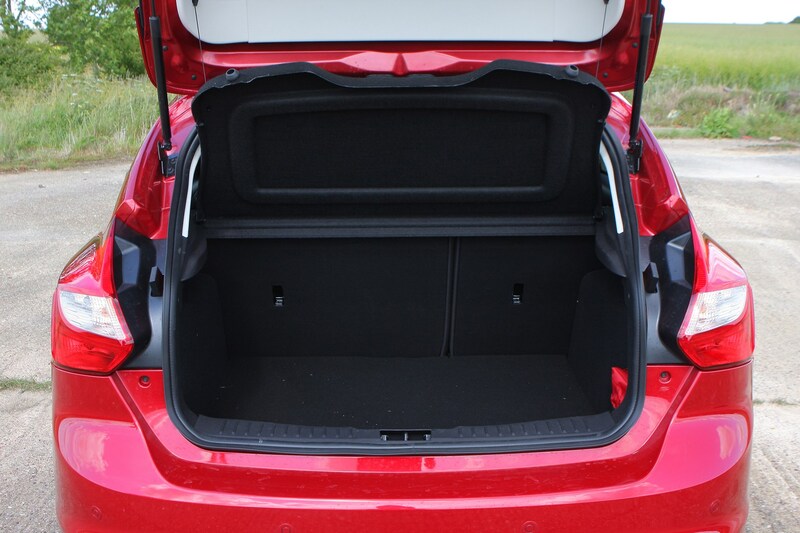 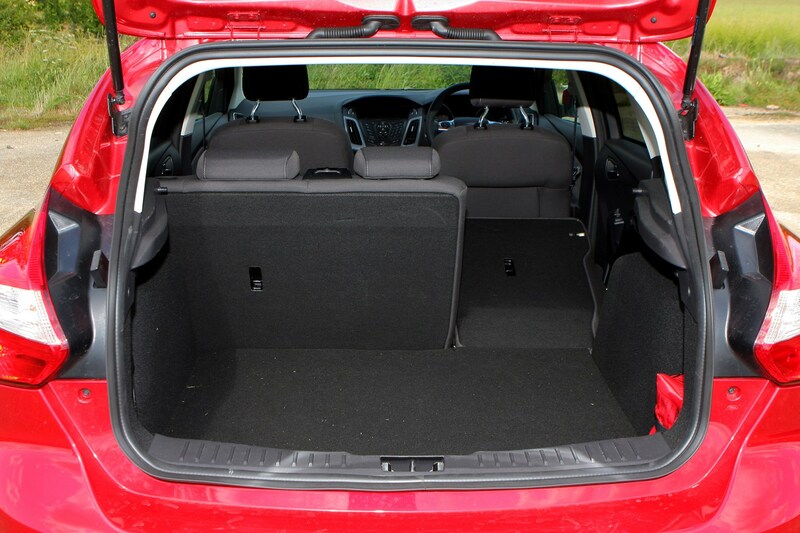 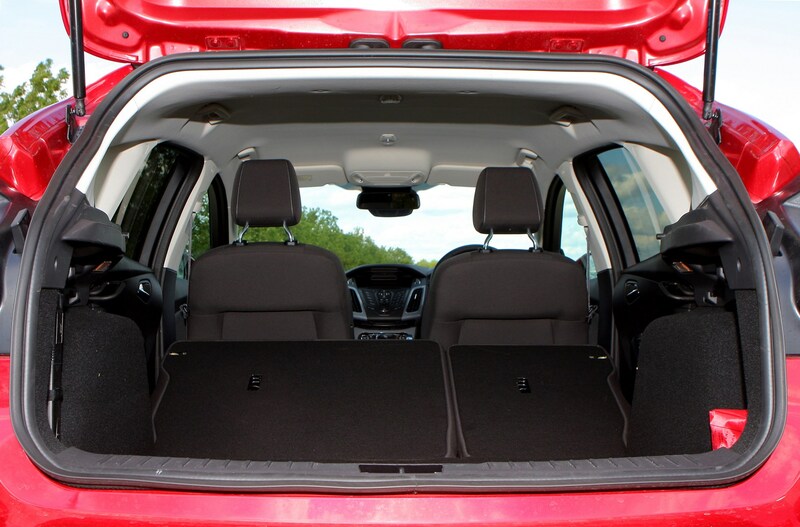 But all models are practical, too, with roomy rear seats and a usefully-shaped, and very large, boot. 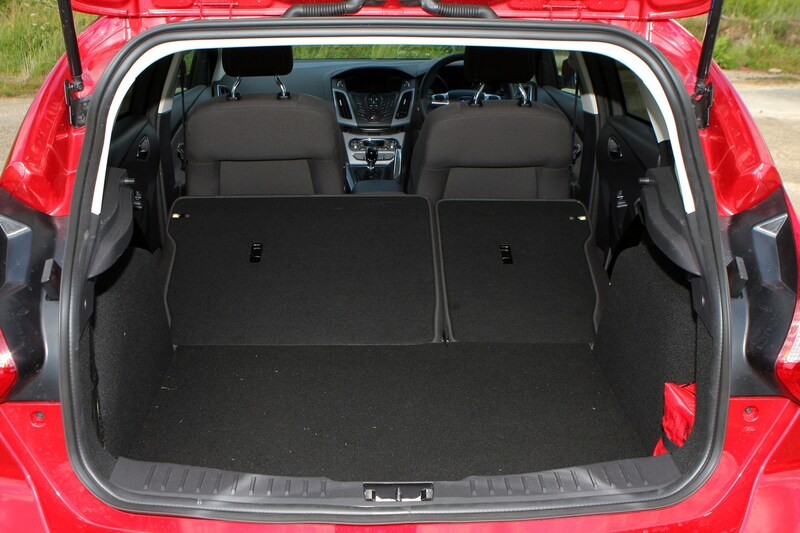 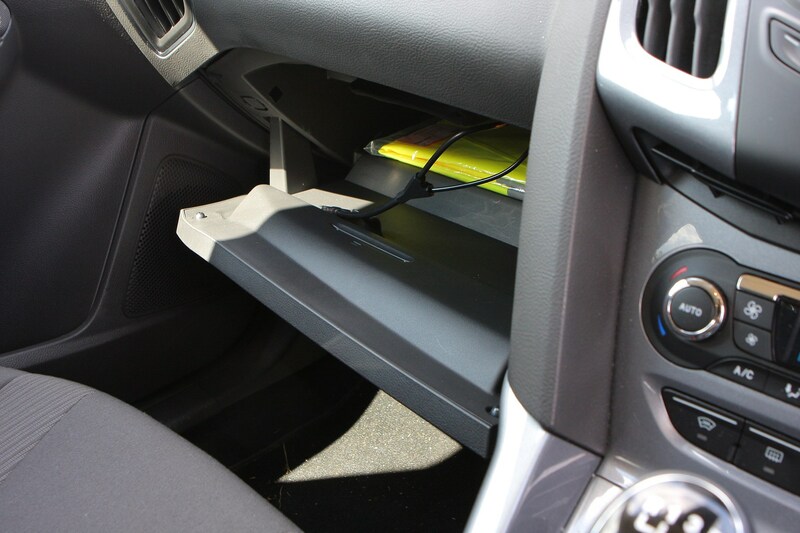 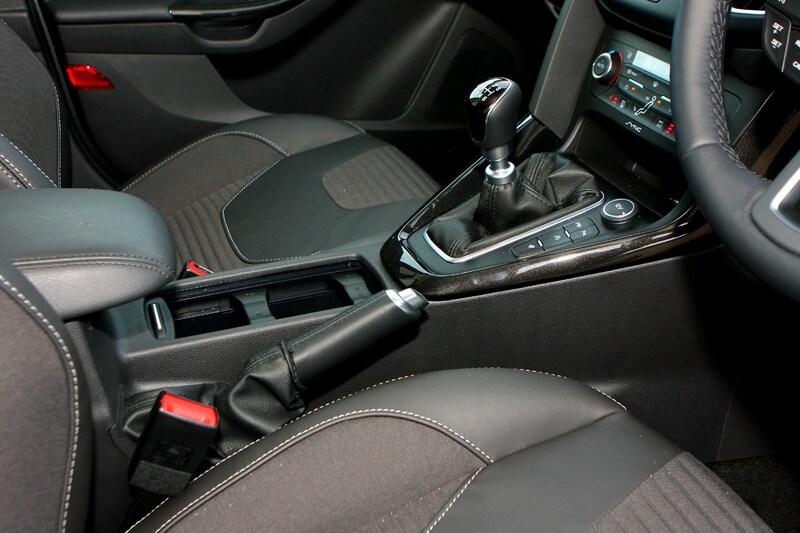 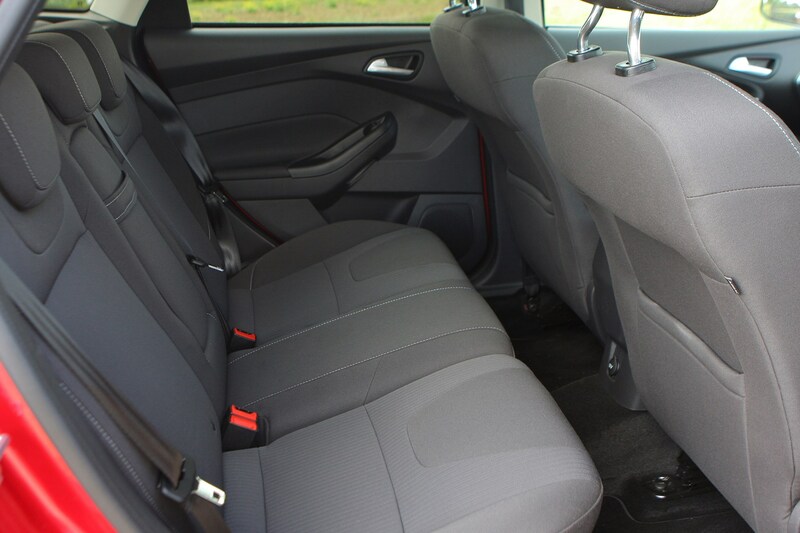 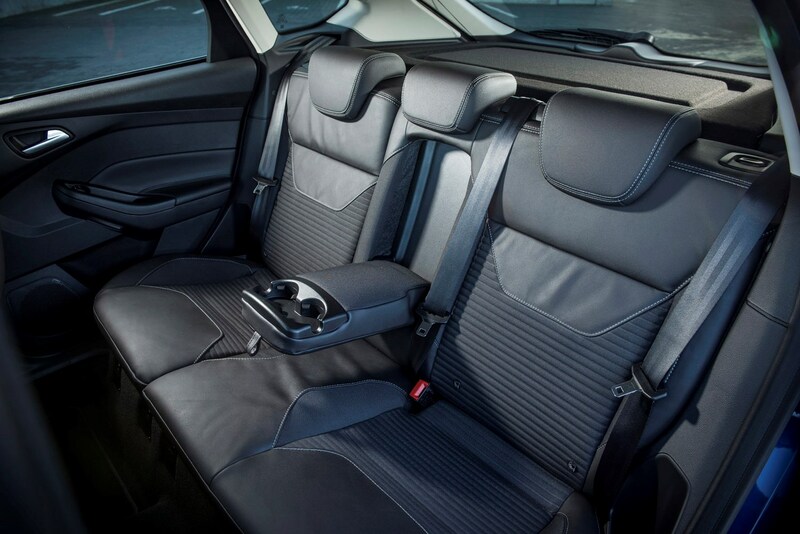 For additional practicality, the rear seats fold down completely flat, which is far from usual in this market sector. 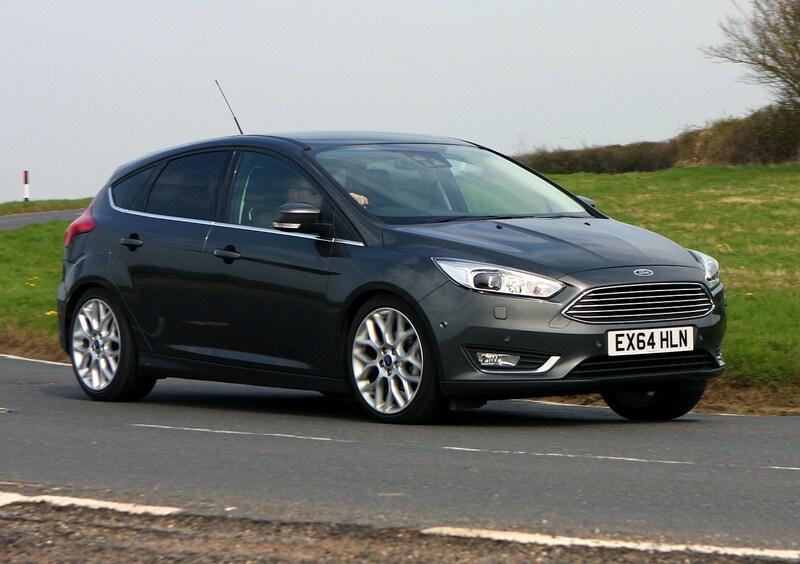 If buying new, the ST-Line version is the one to go for, thanks to generous amounts of kit and sharp looks. 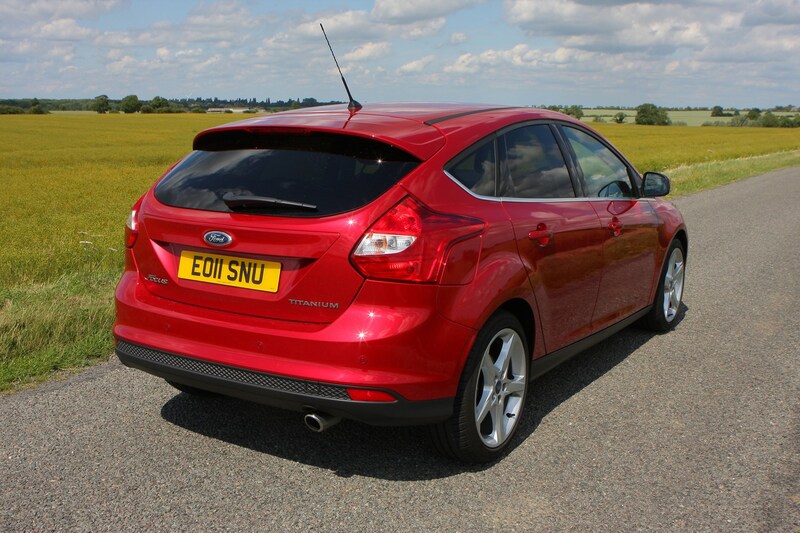 As a used buy, the Focus works well, too – and for the buyer, they come in significantly cheaper than the Volkswagen Golf. 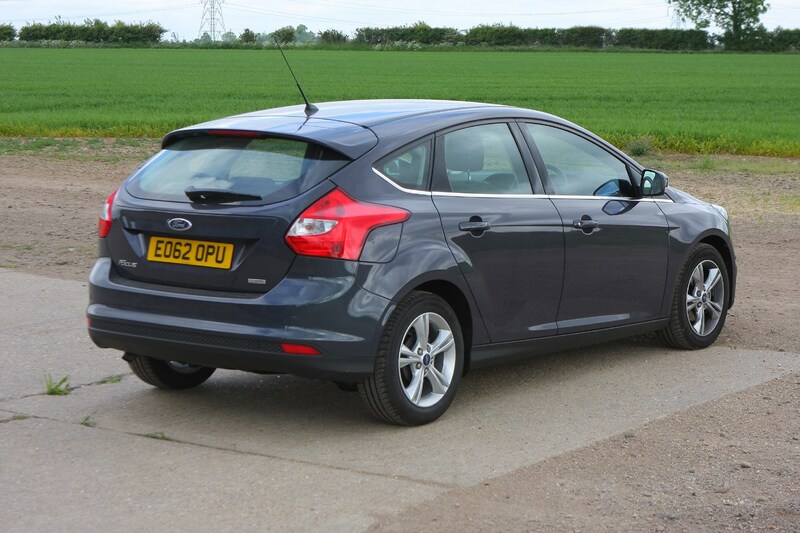 Overall, a very strong option, despite having been around since 2011.